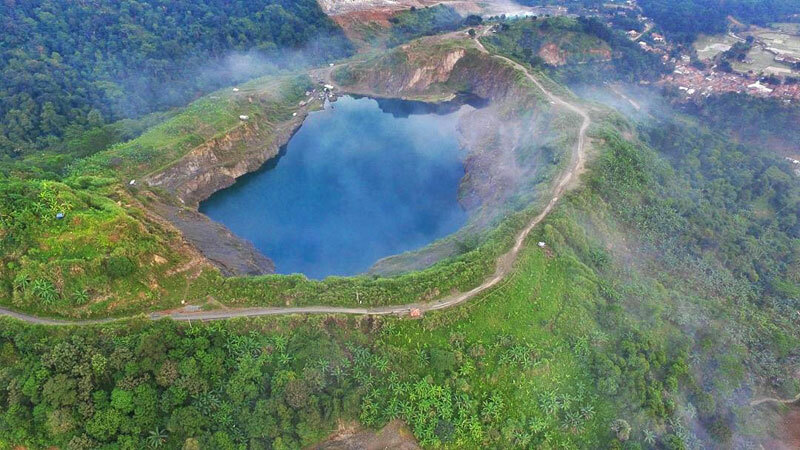 While famous for its cool and breezy weather, Bogor has many other gems that most people might not know about – yet. 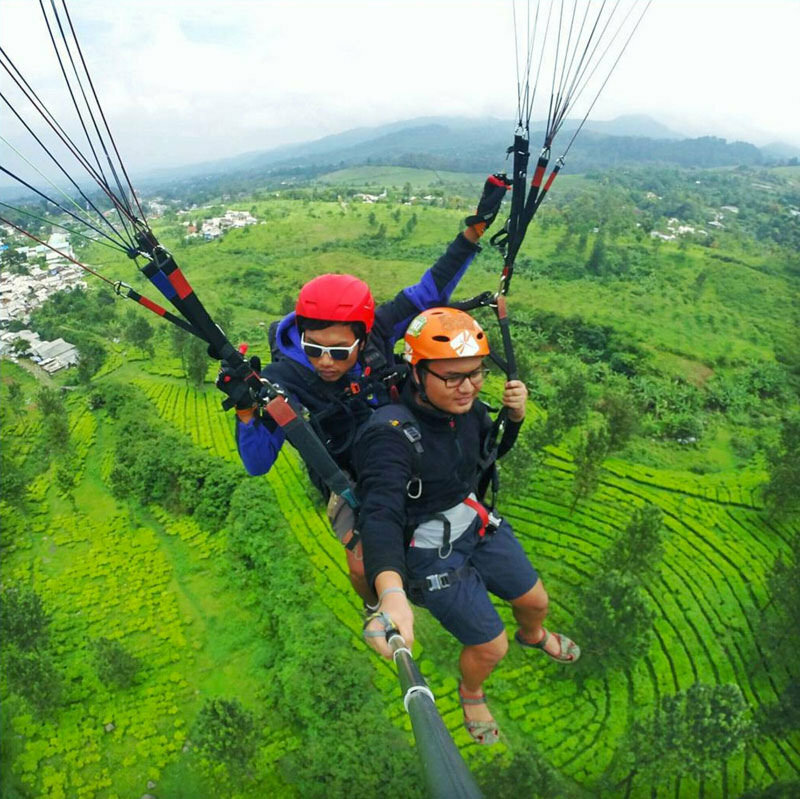 Whether it’s strolling along the spread of tea gardens, or pumping up the adrenaline by paragliding and capturing breathtaking scenery from above – Bogor offers tremendous selections of fun, thrilling and relaxing activities for you to choose from. 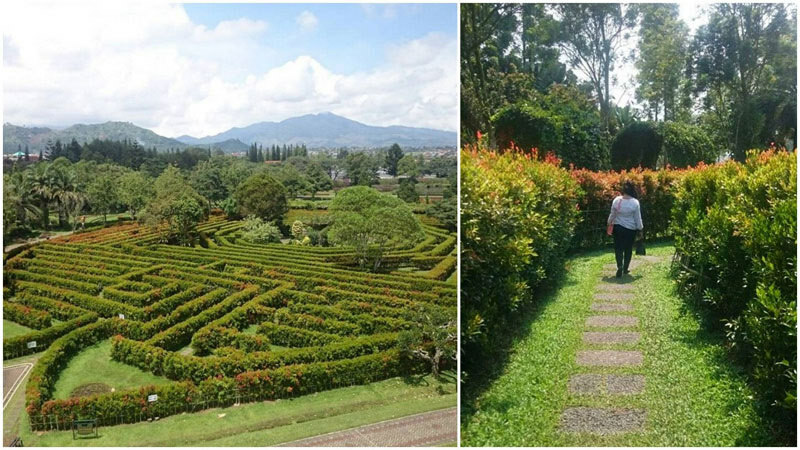 We show you incredible reasons to visit Bogor (best things to do, places to stay and dine) – ranging from extreme sports like Paragliding, to a leisurely stroll around the beautiful Labyrinth Garden, and even culinary treats that will satisfy the Gordon Ramsay in you. Looking for accommodation? You’ll be happy to know that there are plenty of great options available! 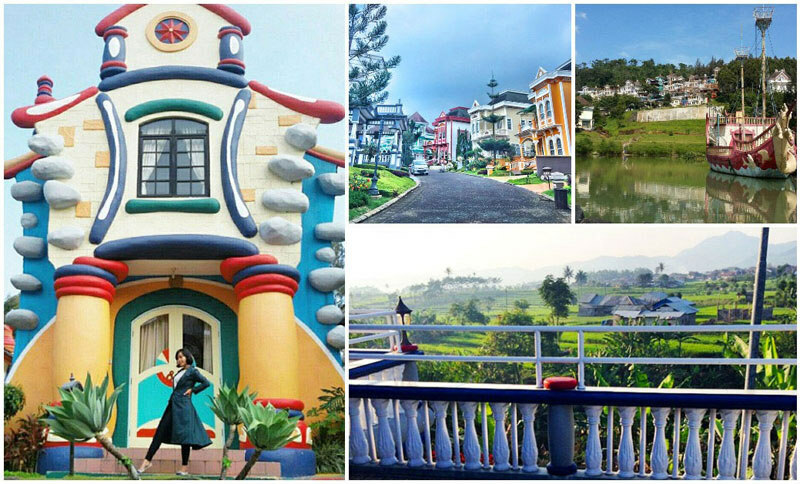 Firstly, at Kota Bunga Estate in Puncak, there are many types of villas available for rent. From old English houses to Japanese-style cottages, feel free to choose from the endless options. This villa estate is located at Cipanas, Puncak (near Cianjur), and also provides facilities to ensure your comfort. There’s a swimming pool, tennis court, mini amusement park, mini petting zoo, horse-back riding ranch, and also Little Venice – did we already mention there are plenty of facilities available? 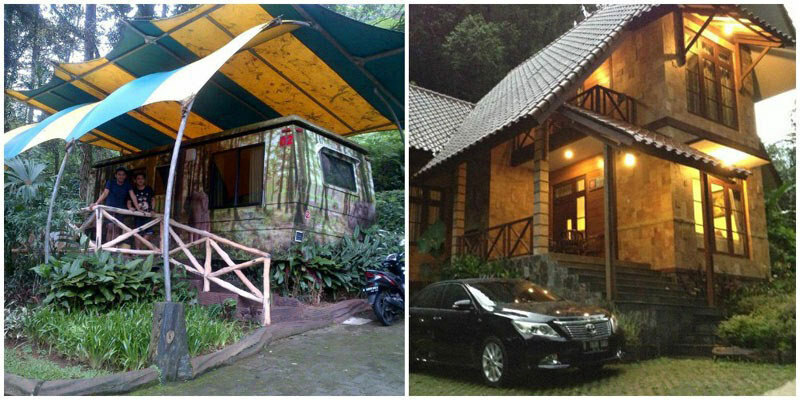 Alternatively, Villa Rumah Putih is another great stay available in Cijeruk, Bogor. 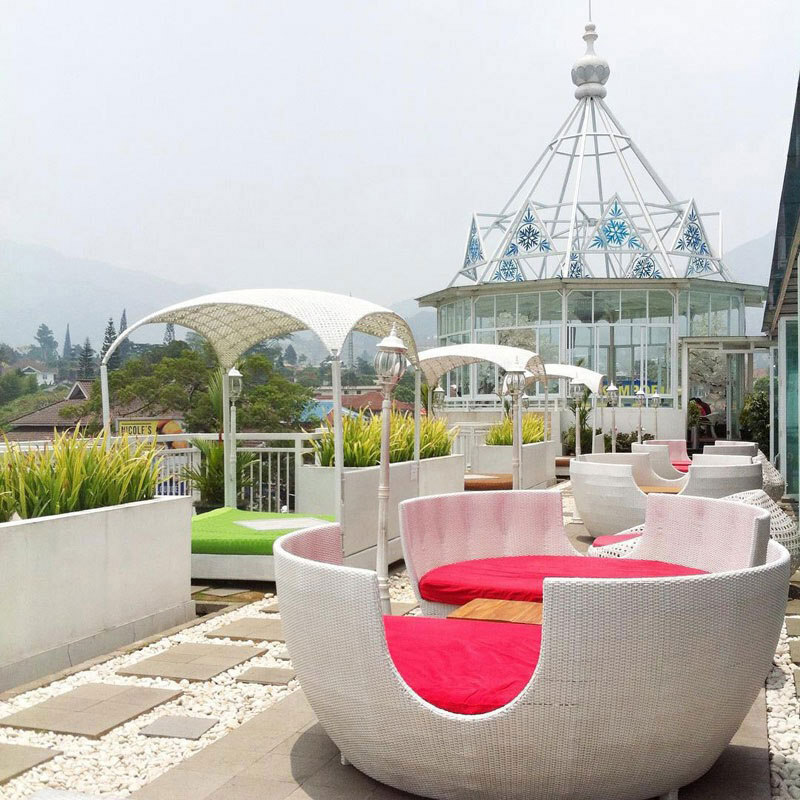 Situated at the hillside of Mount Salak, it provides a cozy atmosphere, with many different facilities like an outbound area, indoor meeting area, rafting and paintball activities, as well as a barbecue area and equipment for your events! The last accommodation on this list is one of our personal favourites – Highland Park Resort, which is a great choice if you are seeking a rather different adventure. 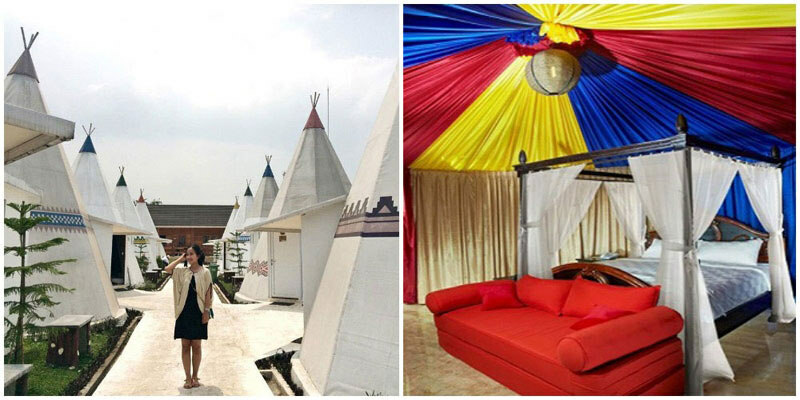 With a Mongolian tent concept, this resort offers a place that is not only adventurous, but comfortable too. The amenities provided are pretty cozy, with comfy beds, sofas, toilets, and air-conditioning is provided too! You don’t need to travel all the way to Japan just to see the sakura flowers (commonly known as cherry blossoms). 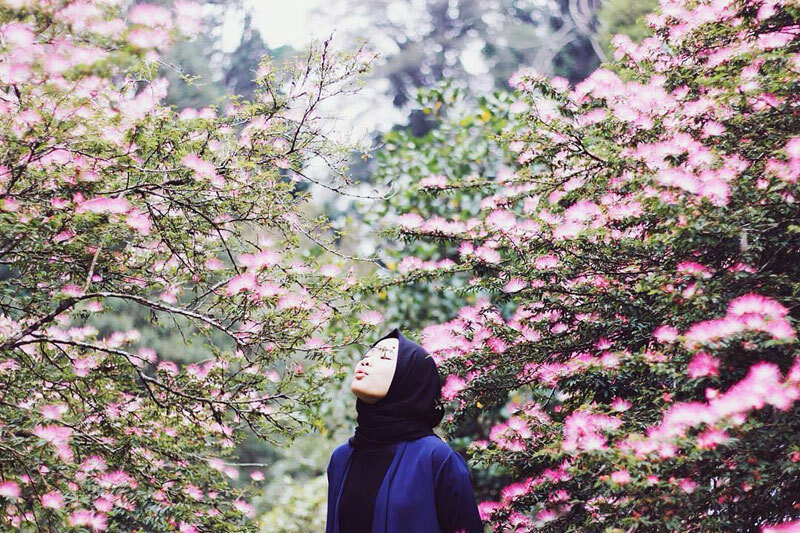 Did you know that Bogor’s very own Cibodas Botanical Garden is actually filled with dozens of beautiful sakura trees too? Due to the chilly climate, you’ll be able to see the pink and white blooms of sakura in the green fields of the Sakura Garden, which is part of the Botanical Garden. You may even see dewdrops resting on the petals – a photo-worthy sight! These short-lived flowers usually bloom in January and February, with a short life span of less than a week. So if you’re planning to make a trip down, we recommend that you call up the office first to check for the best dates to catch the blooms before coming! 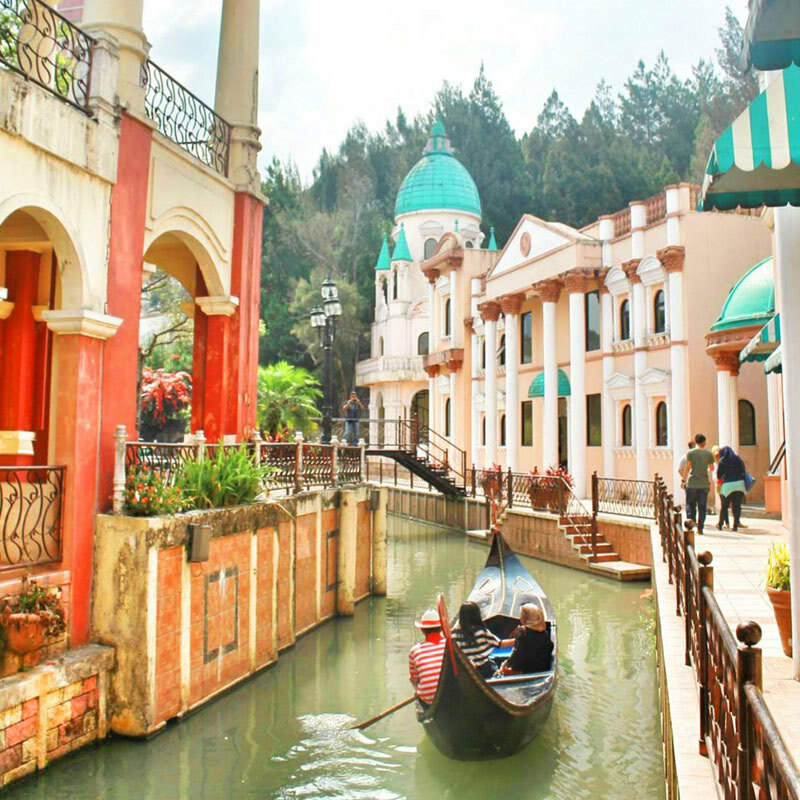 As this unique attraction is located in Kota Bunga, you may stay in one of the villas and then visit Little Venice. Little Venice is an artificial lake that is designed to resemble the architecture and natural structures in Venice, Italy, as closely as possible. 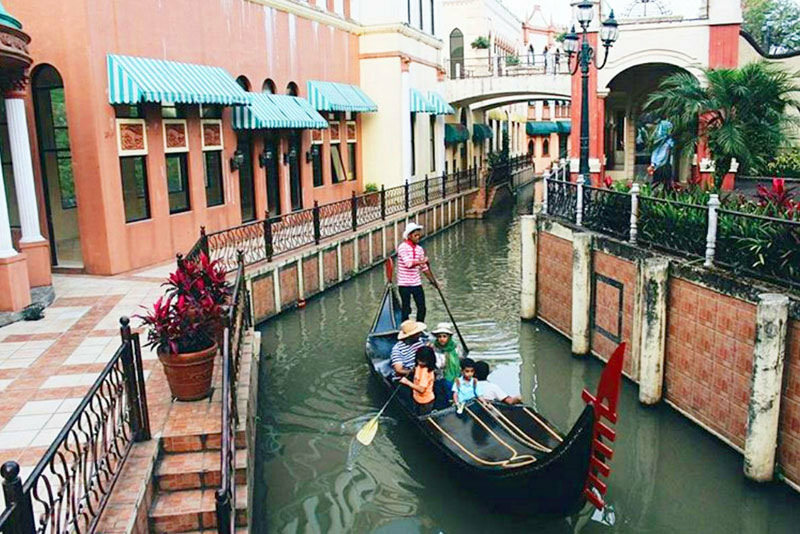 Here, you may try the variety of rides available – ranging from small bikes for children to gondolas that you may personally row. 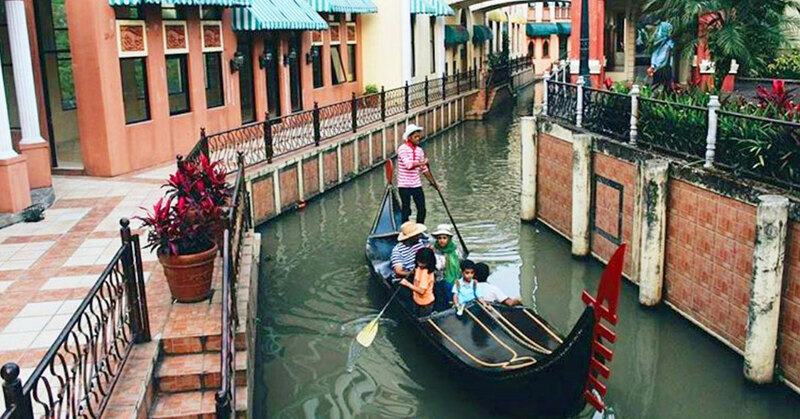 If not, simply enjoy the view as the gondola staff rows the gondola along. Another interesting ride you should definitely try is the Mississippi Boat Ride with its western-themed atmosphere. Have you ever dreamed about being in a very romantic, almost dream-like floral garden with a cool breeze and the sound of water flowing in a calming pool, just like in a fairytale? 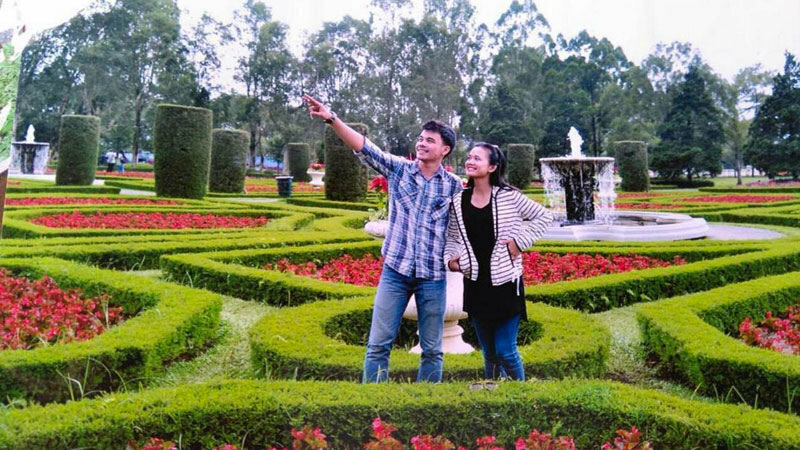 Bogor Botanical Garden might have just what you’re looking for. 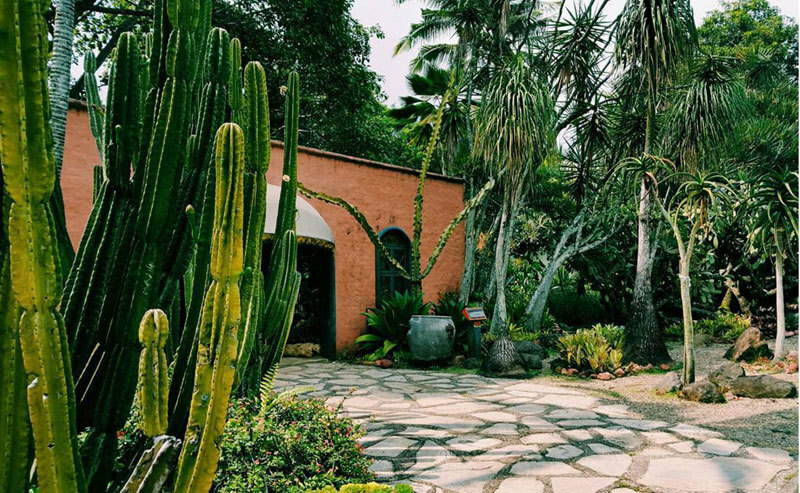 This botanical garden has several gardens, inspired by different places all over the world, like French, Mediterranean, Japanese and the local beauty, Balinese Garden. 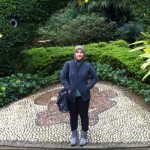 However, the main attraction of this place is the Secret Labyrinth (Taman Rahasia). 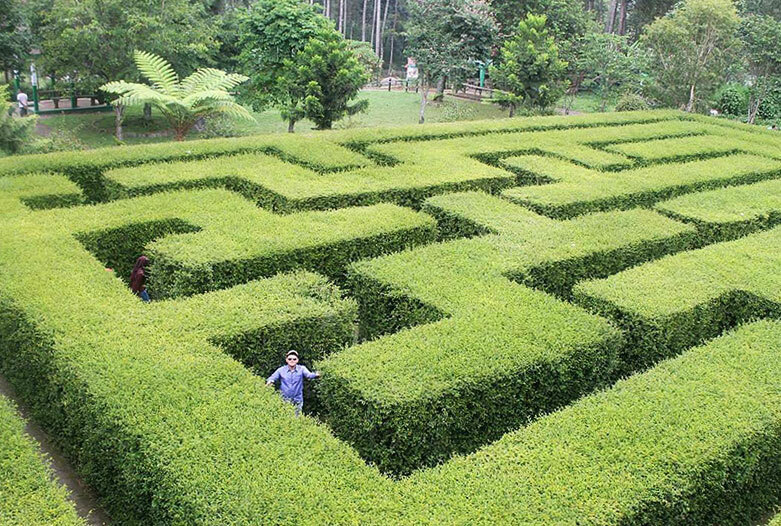 Inspired by the concept of Maze Garden and The Wall of Troy that existed centuries ago, the Secret Labyrinth is exactly what you might have guessed – an endless winding road that leads to a palace or a special, magical place. 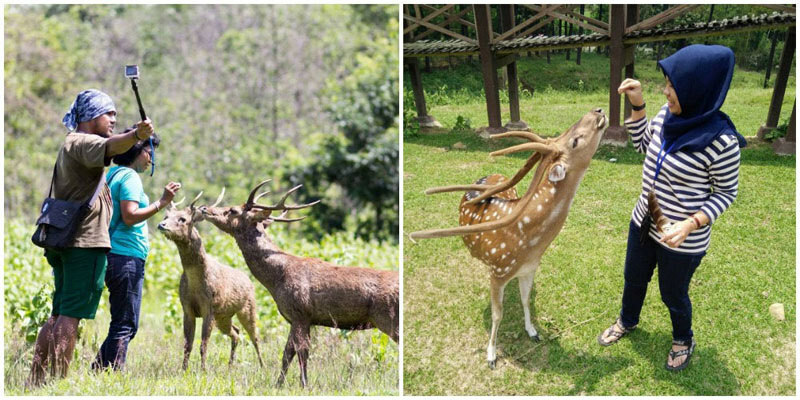 Established in 1993, this 5-hectare deer farm will let you have your very own Bambi experience – remember that heartbreaking Disney film about a fawn (baby deer) who lost his mother? 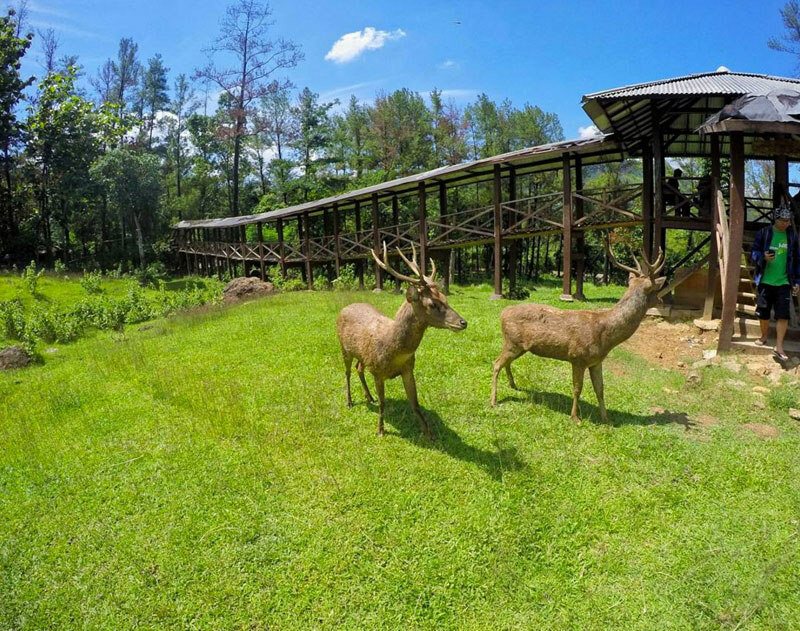 Located in Buana Jaya village, there are different breeds of deer here, from the Cheetal Deer, to the Bawean Deer and Javanese Deer. 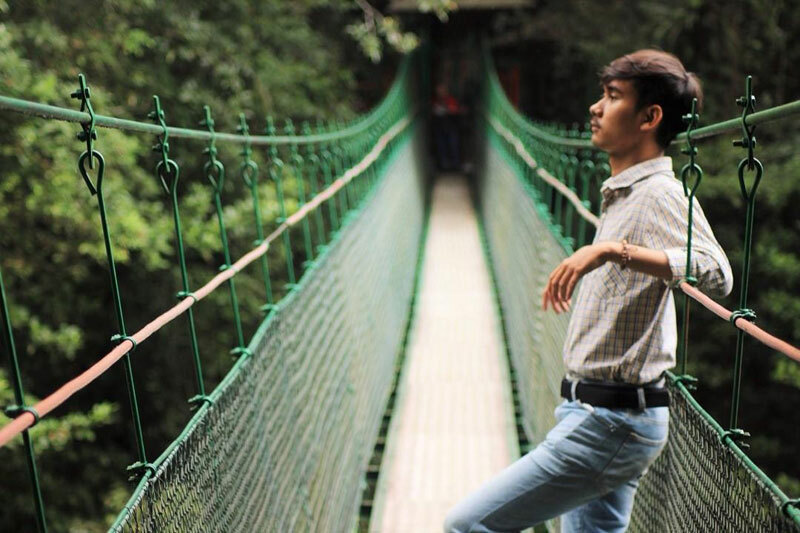 Upon reaching, you may park your car at the assigned parking lot (if you’re driving), then walk through the suspension bridge on top of Cibeet River to reach the farm. Remember to take some photos as you’re making your way across the suspension bridge, as the view is simply stunning! More for the Indonesians, if you have a large garden and want to keep deer in your backyard, the deer are interestingly available for purchase too! Lastly, the farm also provides an outbound and camping area that can accommodate up to 200 people – if you’re looking for a unique space to hold a camp. 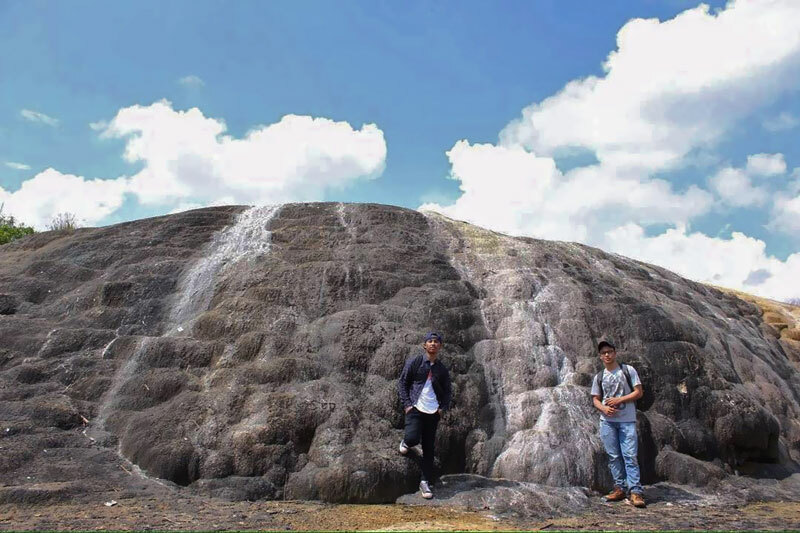 The majestic Mount Gede Pangrango and Mount Salak are just preludes to the collections of the amazing mountains in Bogor. If you feel like heading up top, these are our most recommended names. 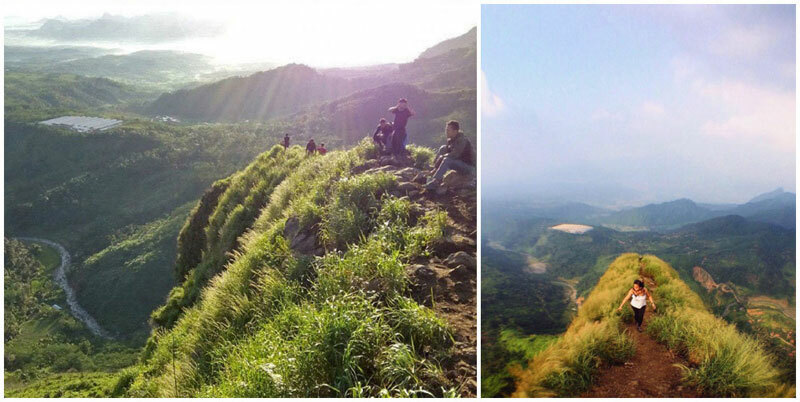 At around 875 metres above sea level, Mount Batu Jonggol offers a hiking experience that is mild enough for beginners. 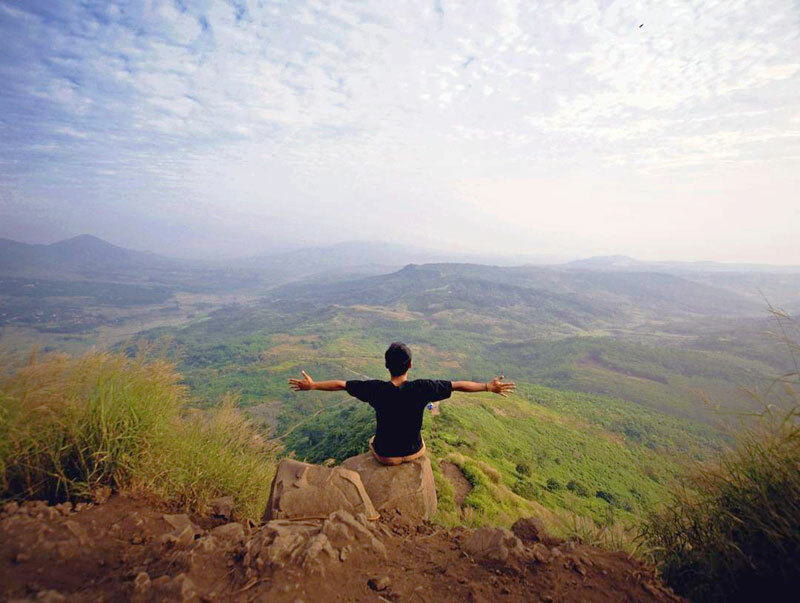 While the trek is not very challenging, the reward from the top is mesmerizing. 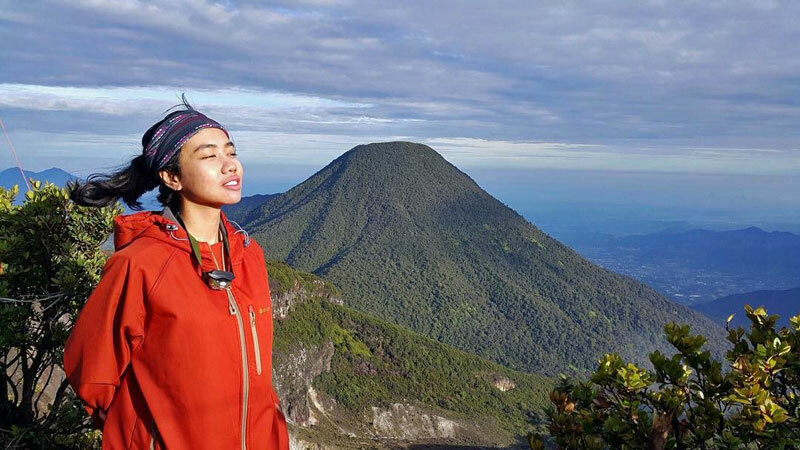 With the beauty of Jonggol area and Mount Gede Pangrango in the distance, you might be just hooked for more. Getting there: Head to Cileungsi and drive all the way to Jonggol. Follow the Mengker route until you reach Gunung Batu. 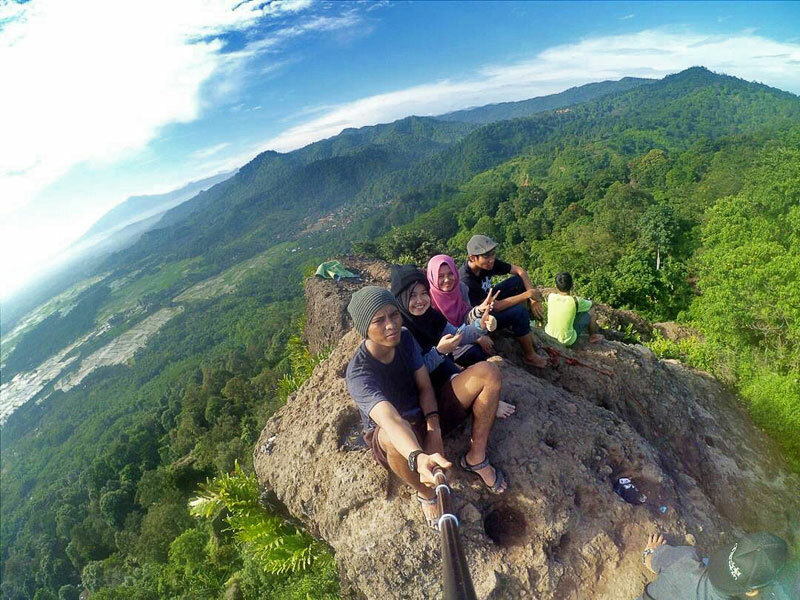 At 1,119 metres above sea level, it will take you nearly a day to reach the peak of Munara Rumpin. Many mountaineers would camp and treat themselves to the breathtaking sunrise at the top. If you didn’t bring enough refreshment to keep you energised, fret not. On your way up, you will find stalls selling drinks, food, and other items for bold adventurers. 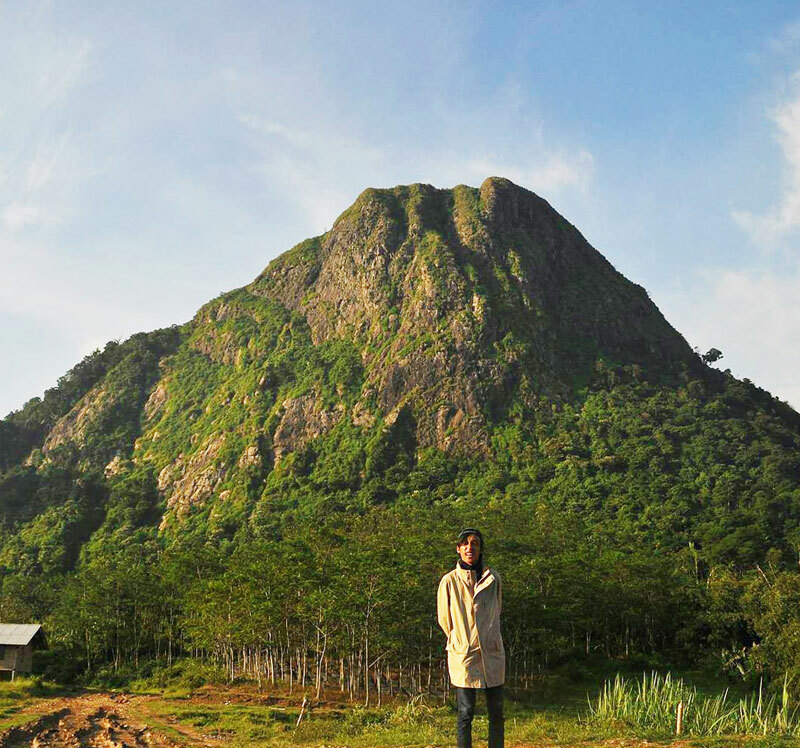 Getting there: Head to Parung market and drive to Ciseeng, Rumpin, until you reach Mount Munara. Who would have thought that a lake in a former sand mine can hold such potential? 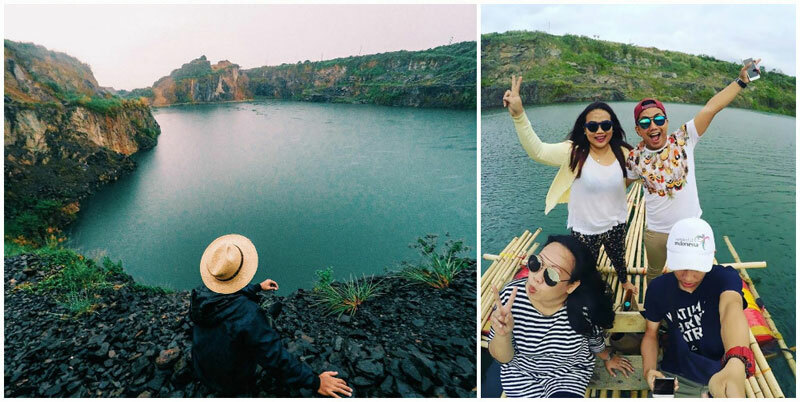 It took just one Instagram post from a sharp fellow traveller to spark interest in this lake framed by majestic cliffs. 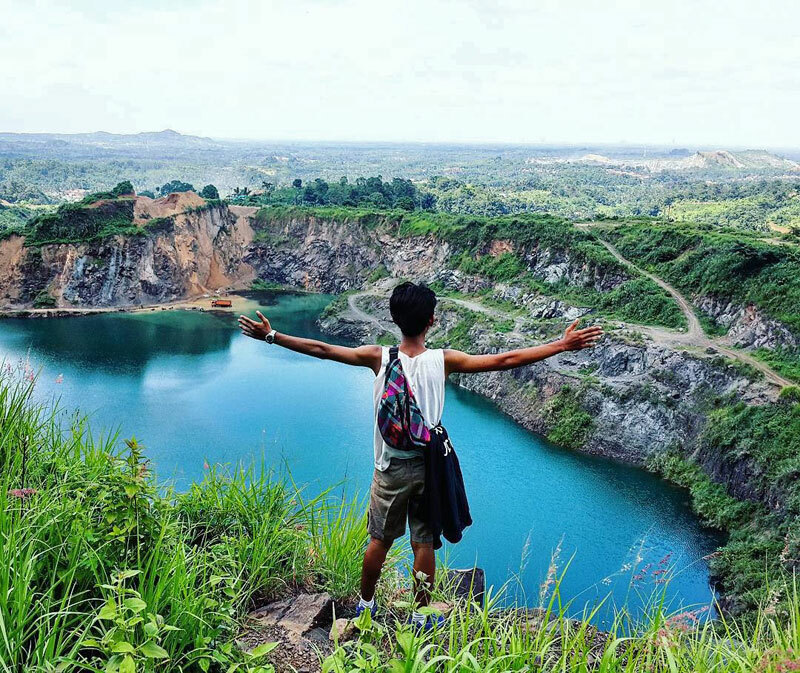 More people caught sight of it on social media, Lake Quarry soon became a new must-visit spot in Bogor for every nature enthusiast. The combination of the blue sky, high green landscapes and clear, clean water filled to the brim after rain will prompt you to take more than a dozen selfies here. Just be sure to watch your steps on the high cliffs, as this raw beauty has yet to be equipped with proper infrastructure for hiking! If you love nature but don’t want to give up the comforts of modern life, Pondok Rasamala provides just the right balance. 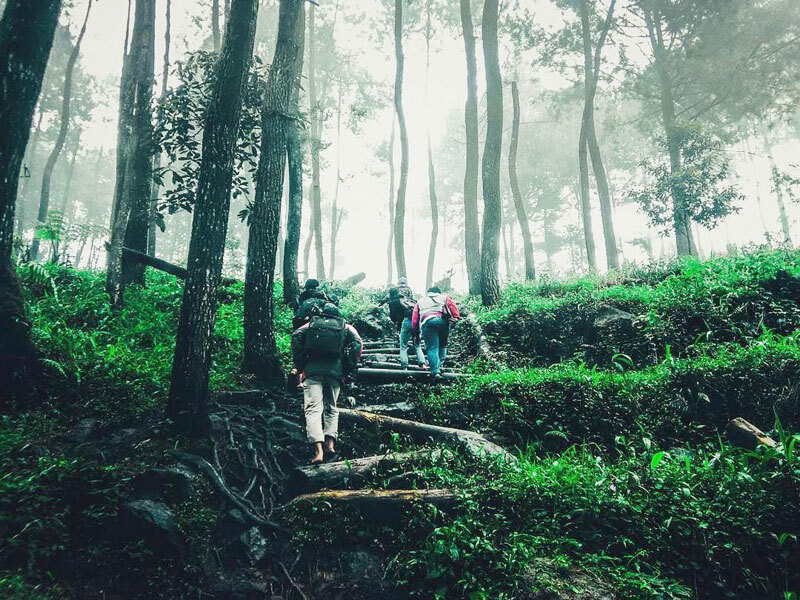 Settle yourself in the midst of the pine forest, minus the camping equipment because this place prepares all the equipment, food, and even toilets. On this campsite, you’ll get to listen to the flowing water from the nearby waterfall, learn to set up a bonfire, and fall asleep to the sounds of crickets at night. If you’re lucky, in the morning, you’ll see the mist from the top of the mountain – a surreal sight to wake up to! Getting there: From the city centre, head to Dramaga IPB and continue to Leuwiliang, to the tri-junction of Cikampak. Turn left towards Gunung Bunder Tourism Area, and drive to the location. Imagine soaking in a warm jacuzzi soak overlooking the green fields in the cool climate – isn’t it such a welcome break? 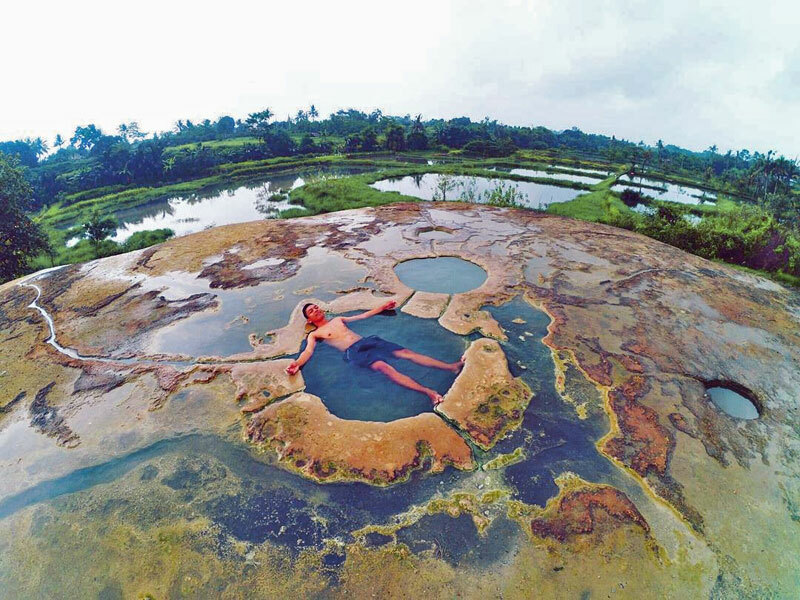 Located in Mount Ciseeng, which is rarely explored, Peyek Mount Hot Spring offers tranquility with a remedy for body and soul. 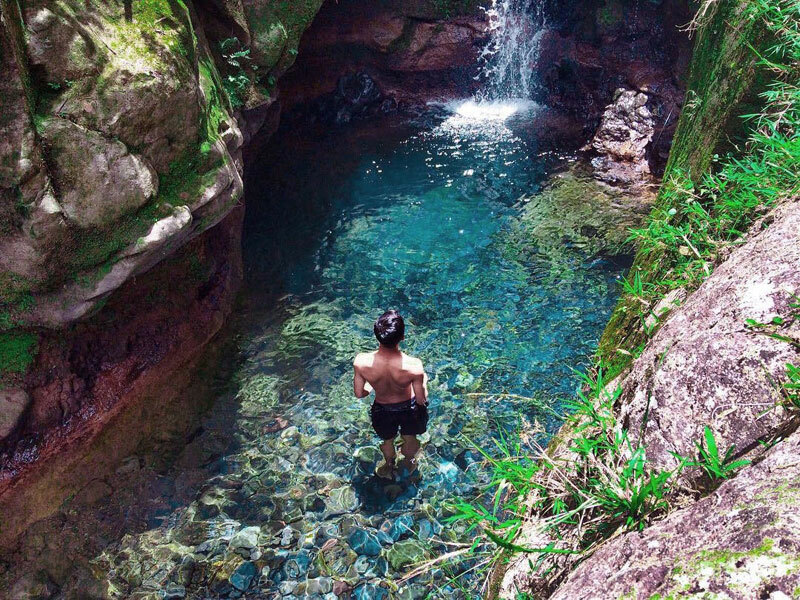 Believed to cure various illnesses, the warm water is sure to sooth your stress away while the unique pool formations will leave you in awe at nature’s gift. Getting there: From Parung, head to Kedung Halang and you will pass Tirta Sanita Hot Spring. 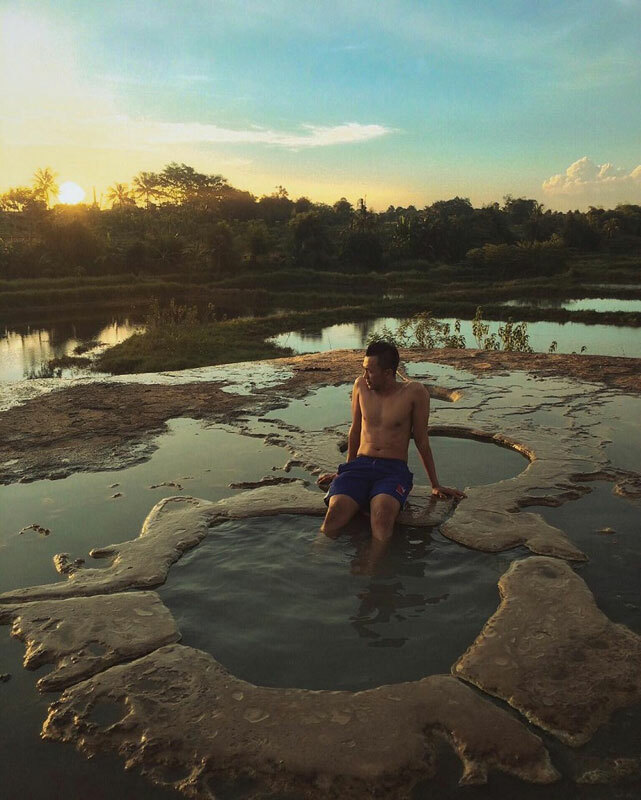 Continue your journey to Komplek TNI AD (The Residence of Indonesian National Armed Forces) and all the way to Kampung Jeletreng, before asking the local villagers for directions to this hot spring. One thing Bogor is known for, is its culinary treasures. From Tauge Goreng to Soto Bogor, Bogor offers many diverse and indulgent treats for you to taste. There is an endless list of the best must-try restaurants and cafes to visit in Bogor, and here are four restaurants for you to try as starters. Nicole’s Kitchen is funky, fresh, and super cool. From the outside of Nicole’s Kitchen, you might think this is yet another simple and traditional restaurant. However, once you get inside, you enter a white, minimalistic and super cool oasis – with funky cushions and grape vines snaking through the central pillars, adding a splash of color and a bit of fun. 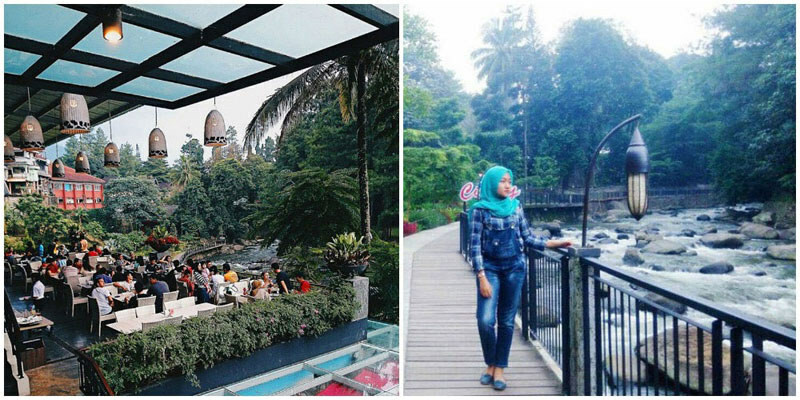 Cimory Riverside, on the other hand, serves not only delicious food, but also nice views while you enjoy your meal. With the cool weather, river view and good food, it’s a great place to relax and hang out – and at very affordable prices too! 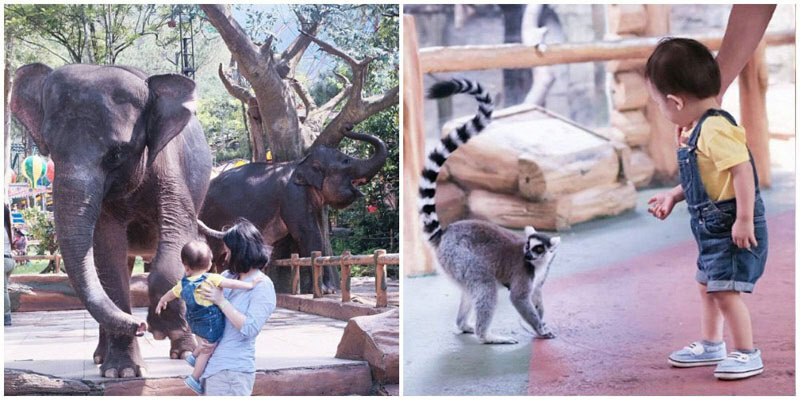 This restaurant also has a kids’ playground, shopping store and chocolate factory. What more could you ask for? 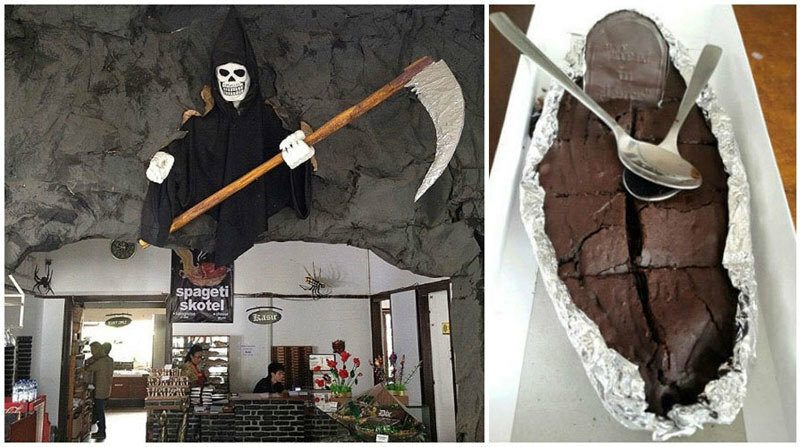 If you have a sweet tooth and love everything chocolate, then Death by Chocolate is the right place for you. 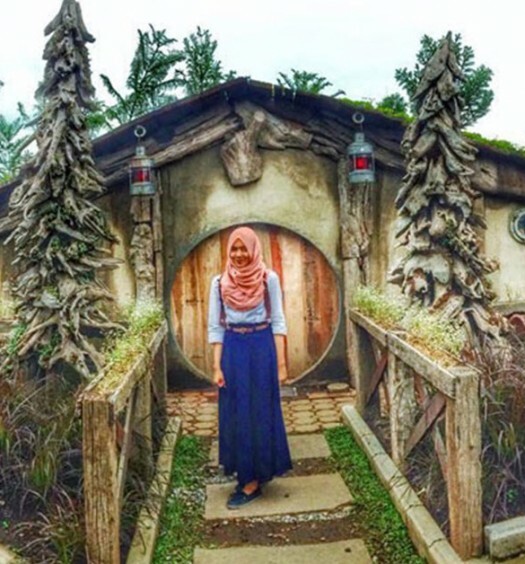 With its deliciously spooky ambience, this restaurant is located in Taman Kencana Bogor, and offers a variety of treats on its menu. There are light-weight snacks with chocolate as the hero of the dish, to Frittatas and Spaghetti if you’d like something heavier. 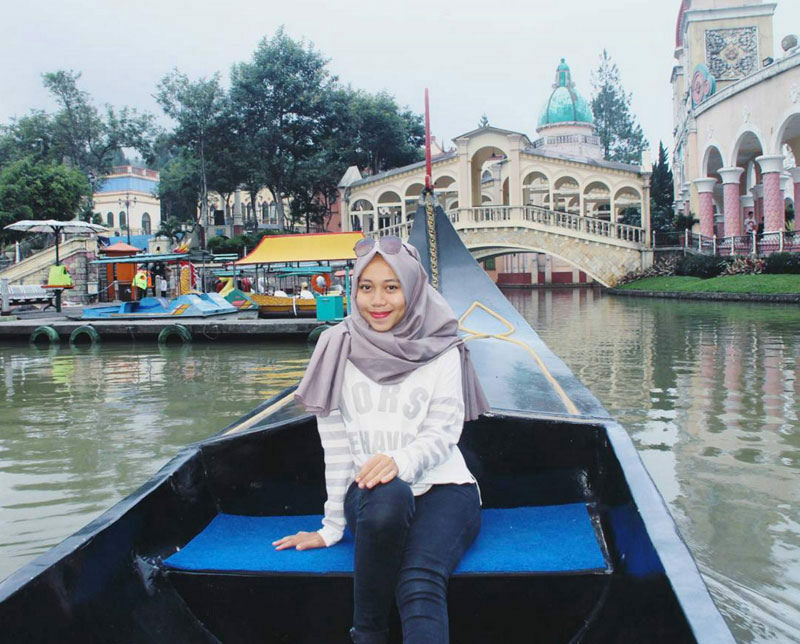 Last but not least, make sure to visit Ah Poong Floating Market. 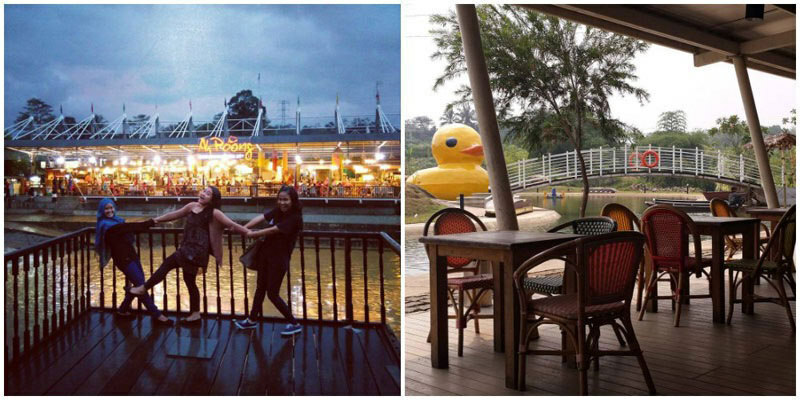 A food court that’s surprisingly located over a river – it’s super unique and even offers various activities for kids. This food court houses many different types of food and restaurants, just awaiting your discovery. 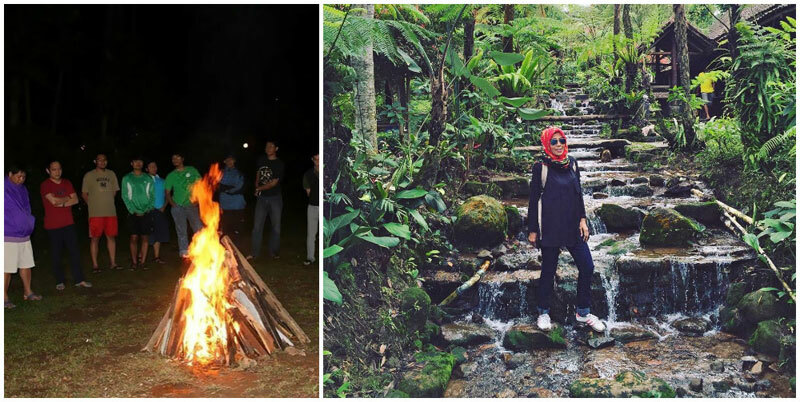 Comprising of two towering mountains, Mount Salak and Mount Halimun, this national park has long been everyone’s favourite weekend getaway destination. 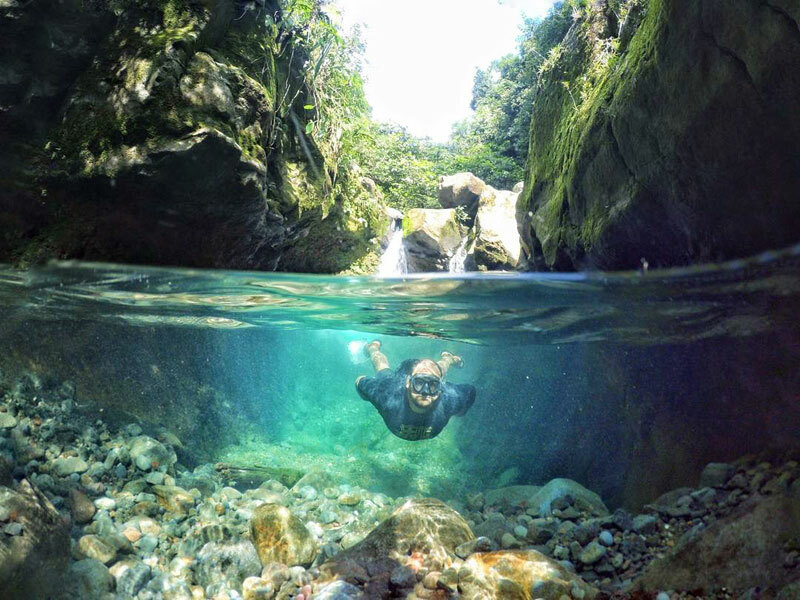 While the park borders have been well-explored since it established in 1992, the heart of Halimun Salak National Park continues to excite people with new discoveries of hidden gems. 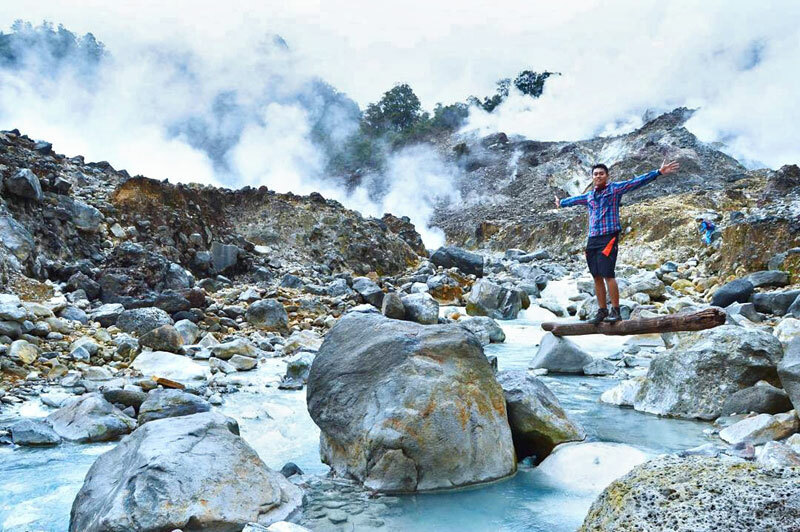 This is often why many travellers love to book a tour spanning a few days with a local guide to truly experience nature here – exploring hiking trails, craters, plantations, rice fields and volcano with billowing smoke and hot fountains. 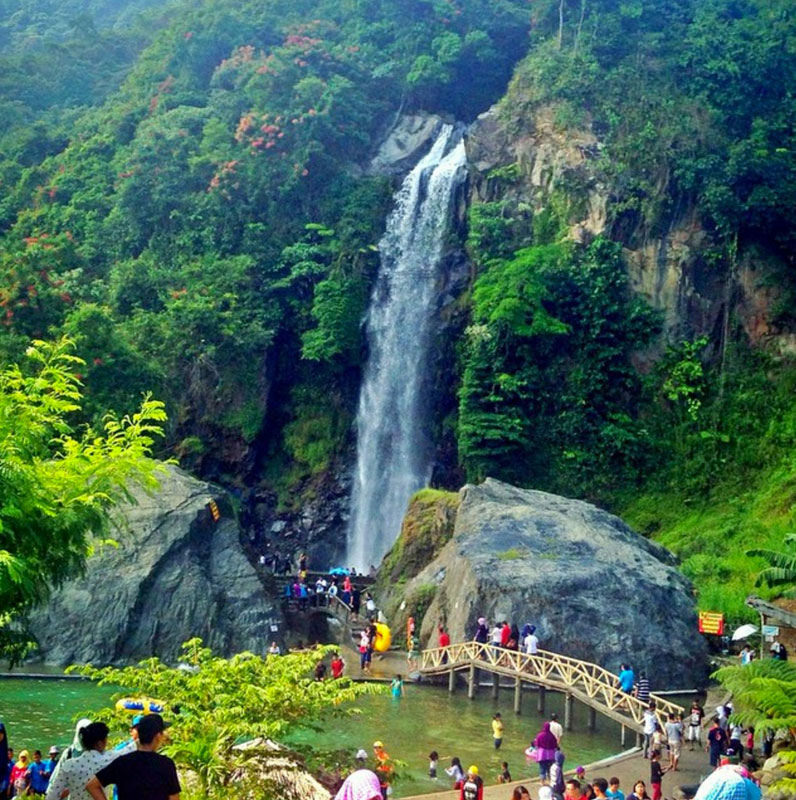 As you walk past the pine forest, you’ll find a path leading down to a waterfall, and the first is Curug Ciampea. 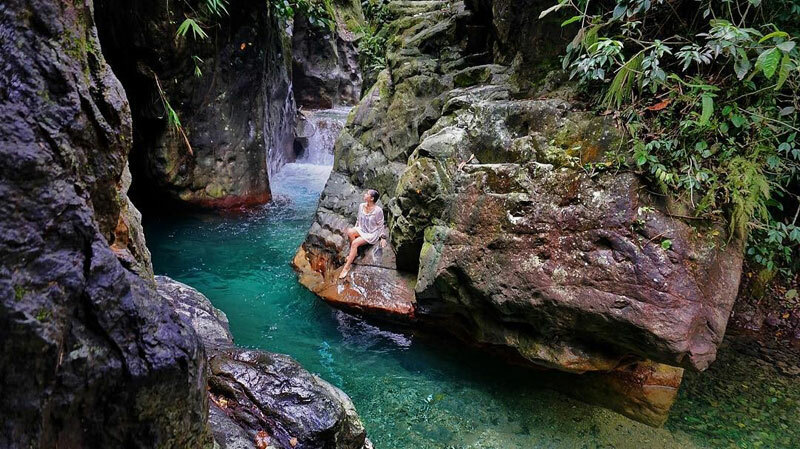 At less than one metre deep, take a quick refreshing dip and enjoy the tranquility of this hidden waterfall. 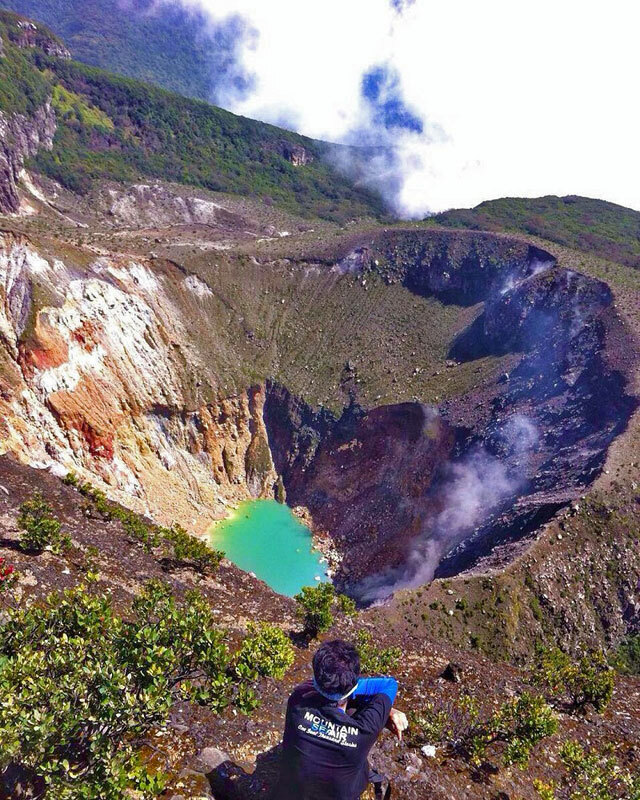 Walk down from Curug Ciampea and you’ll be greeted by this Green Lagoon. At two metres deep, it is just as mesmerising as Ciampea, if not more. Don’t you want to simply laze the day away here? 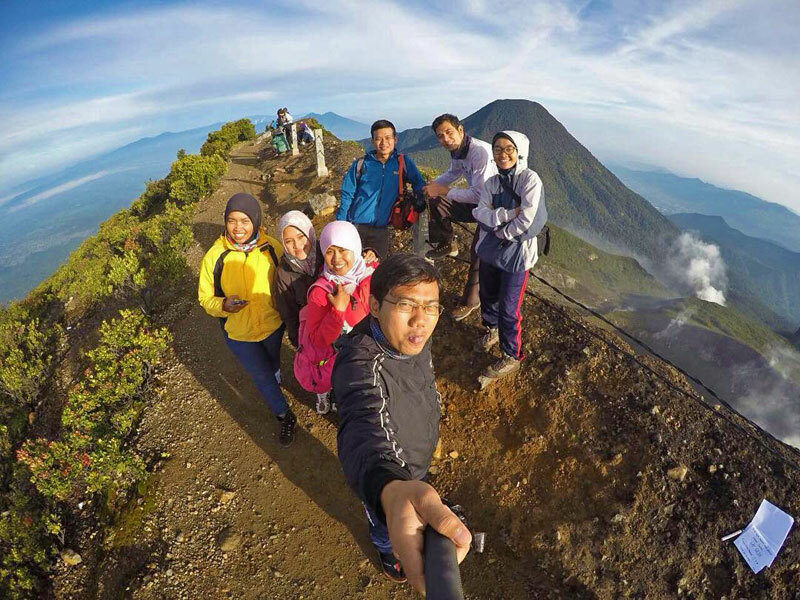 Getting there: Head to Desa Tenjolaya and ask the locals for directions to Curug Luhur. From there, take a left turn at the intersection and drive on till you see a green field on your left and a narrow road on your right. 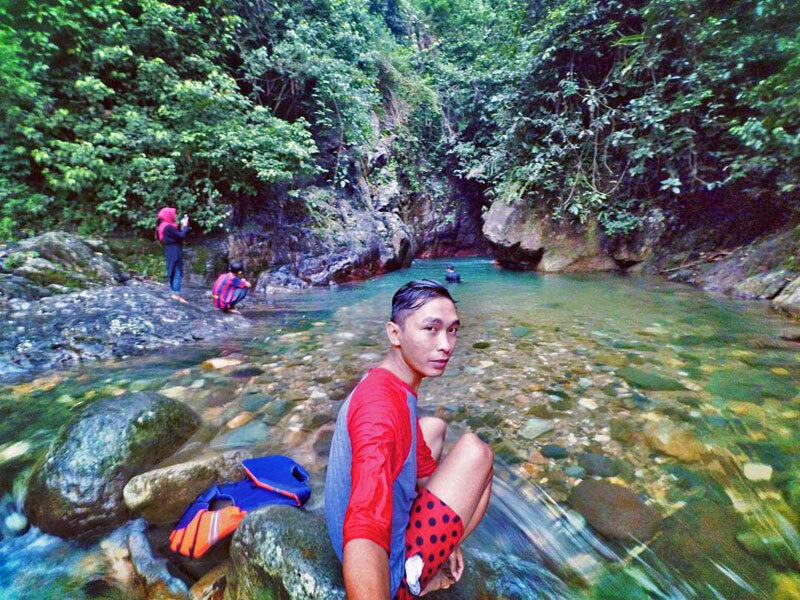 Follow the narrow road until you reach Curug Ciampea. 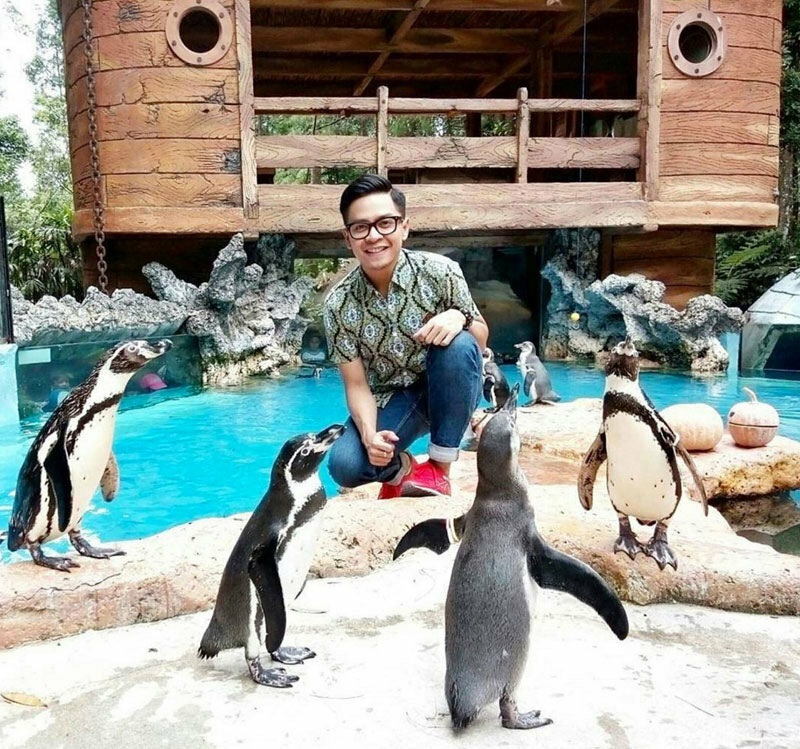 Taman Safari Indonesia is arguably one of the most favorite attractions in Bogor and Indonesia’s most popular natural theme parks. It is also the very reason why traffic can be pretty crazy when you go towards Puncak during the holiday season. 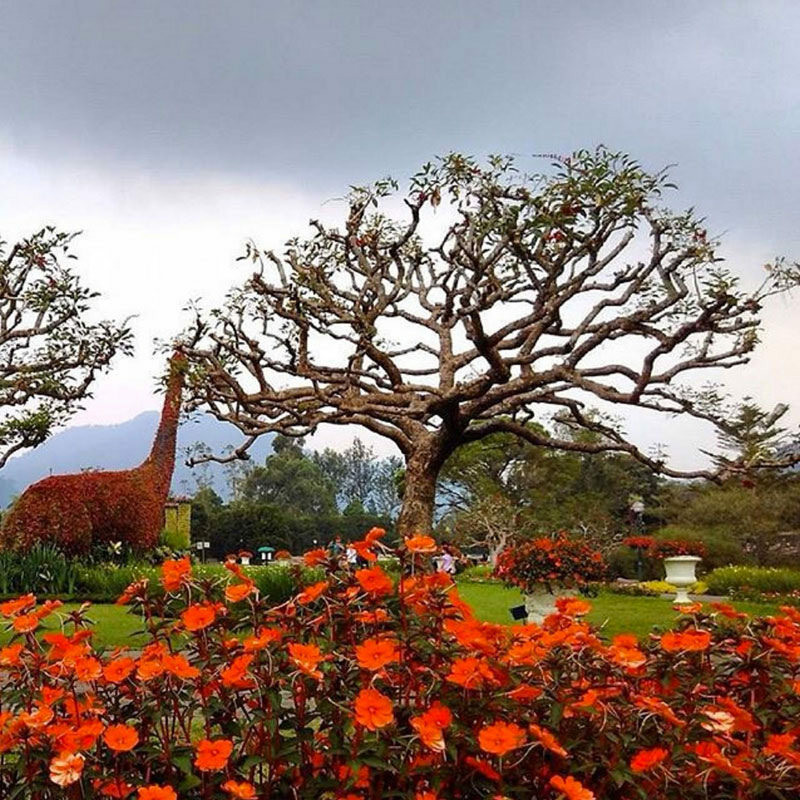 Built in 1980, the first Taman Safari Indonesia at Cisarua, was constructed on a tea plantation of 50 hectares. 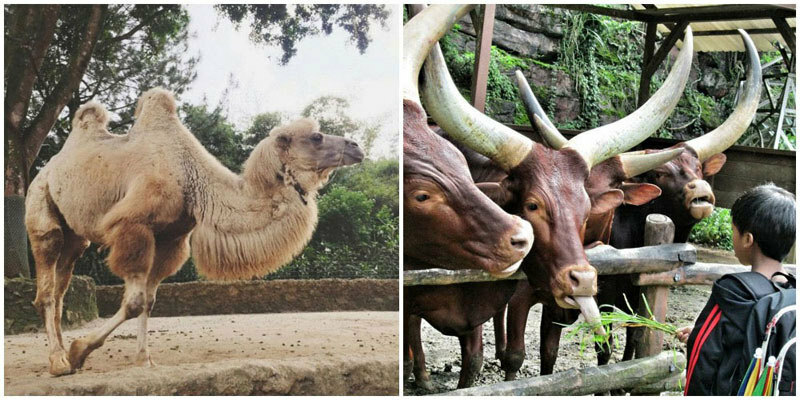 Today, Taman Safari Indonesia Cisarua, Bogor, has grown to 168 hectares and is well-equipped with a variety of educational and recreational facilities. There is the ever popular night safari and adventurous safari trek that you’ll probably definitely enjoy – and if you stay at Safari Lodge, as well as join both the Day and Night safaris, you may enjoy this treat at a bargain! 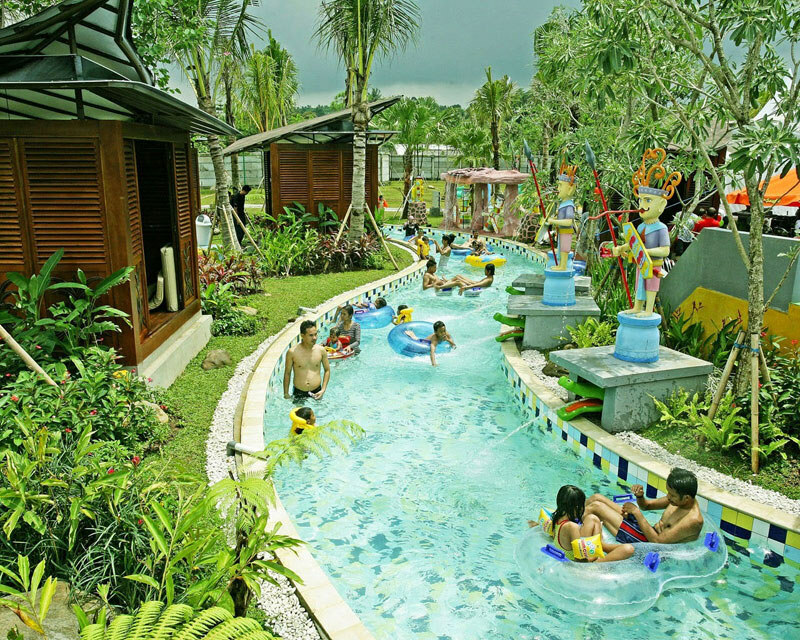 The Jungle Waterpark is a wonderful place for families, friends and even couples to visit. There are many splashingly fun experiences awaiting, with different water sports and activities available. There’s a Kiddy Pool, where your kids can play, and they’re bound to have tons of fun with the water gun, spiral slides and more. There’s also a 40-degree heated pool that is a particular favourite of visitors, along with the the Leisure Pool where people are able to soak and eat in the center of the pool – where a food court is situated! This is where visitors love to relax with friends and relatives, while playing a few games in the arena. 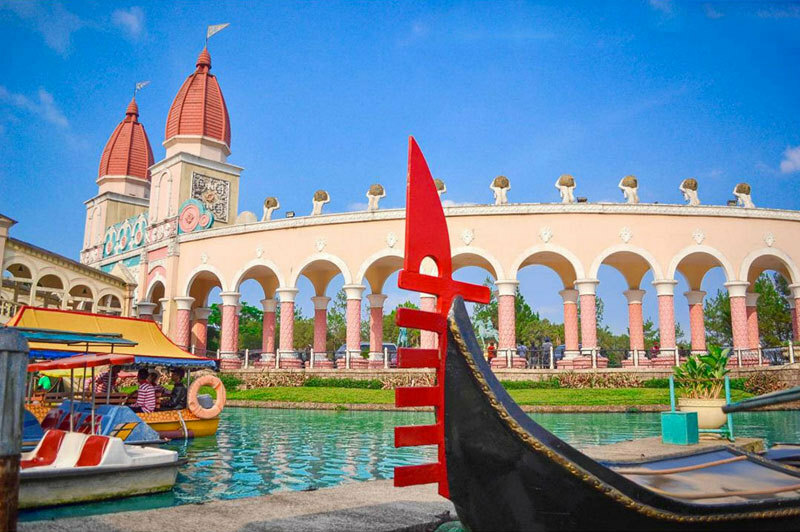 If you prefer to stay dry though, you can always head to The Jungle Waterpark’s main stage, where Indonesia’s top bands hold frequent performances. 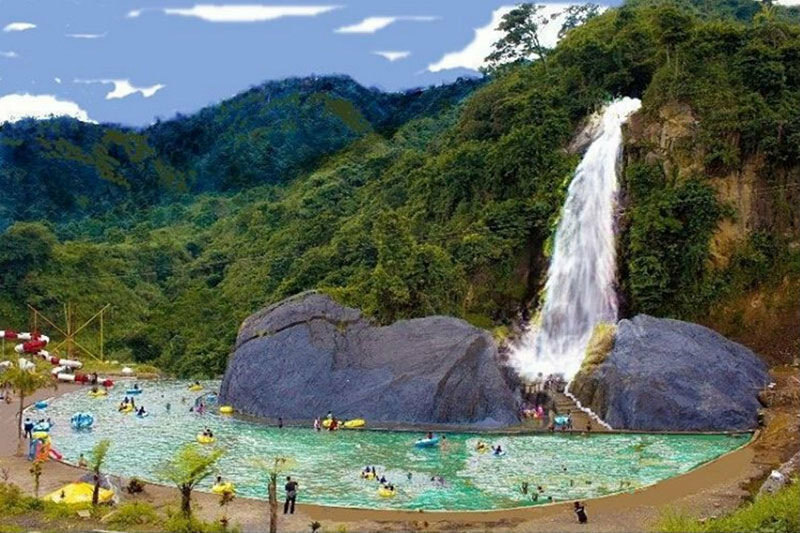 Due to the hilly and mountainous land contours, there’s no shortage of amazing waterfalls in Bogor. 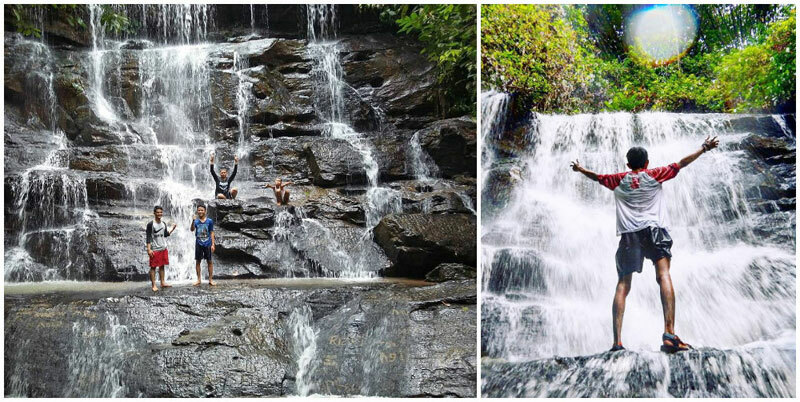 In fact, there are up to dozens of noteworthy waterfalls and these three ‘curugs’ (which means ‘waterfalls’ in Bahasa Indonesia) take the cake. 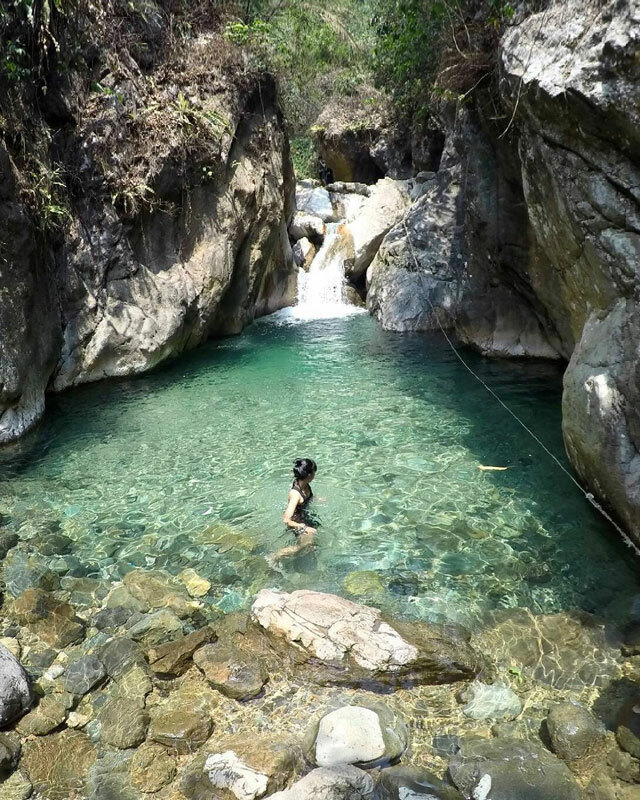 Surrounded by lush jungle greenery in the midst of rocky cliffs is this little paradise. 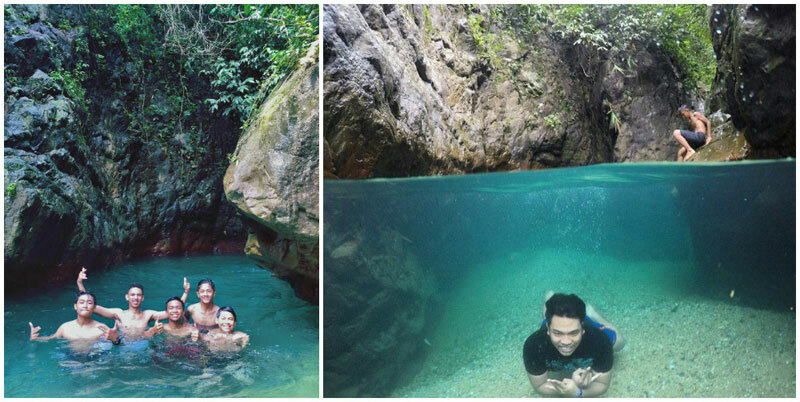 The water is not only cool and fresh, but so clear that underwater selfies are a must! 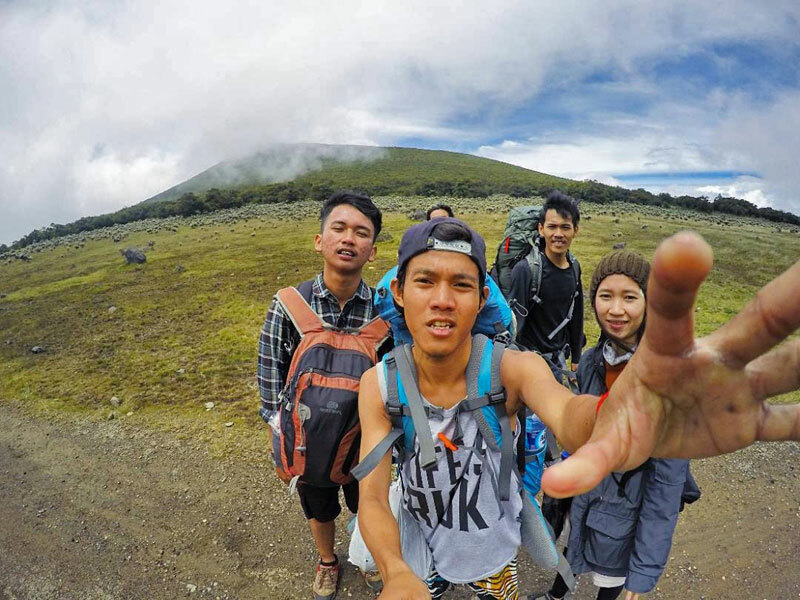 Getting there: Head to Sukamakmur region and follow the road to the location. 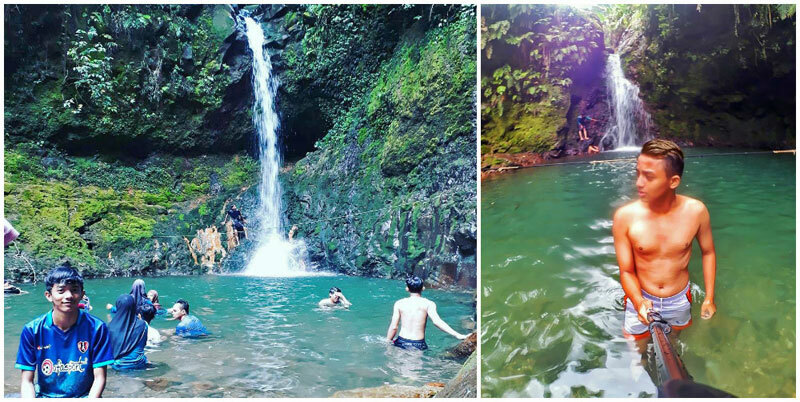 Some people have marvelled at the resemblance of this waterfall to the famous Green Canyon of Bogor, only at a much cheaper and authentic experience. So arm yourselves with your underwater camera and snap away! Getting there: Either from Sentul City or Citeureup Bogor, follow the road to the location. 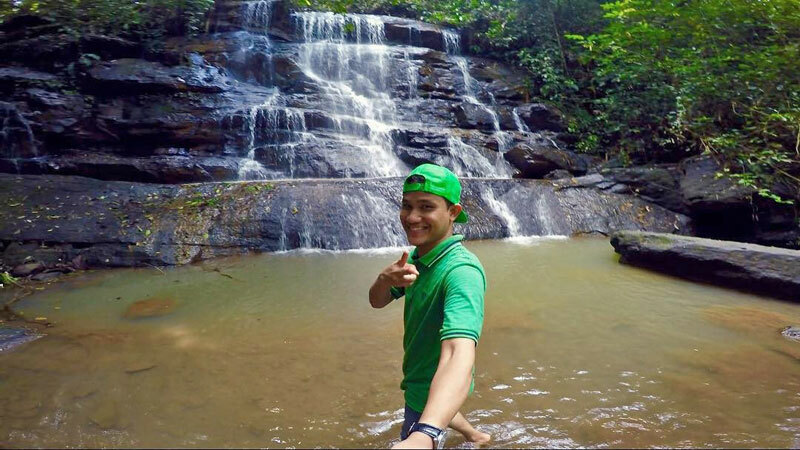 This spectacular tiered waterfall is the perfect place to take a cool dip along with a few selfies. The currents from the clifftop are not too fast, so you get a majestic view from all angles. Just be sure to watch your steps on the slippery stones! Getting there : From Cibubur, take the route towards Jonggol all the way to Pasar Cariu. Follow the road to the location. 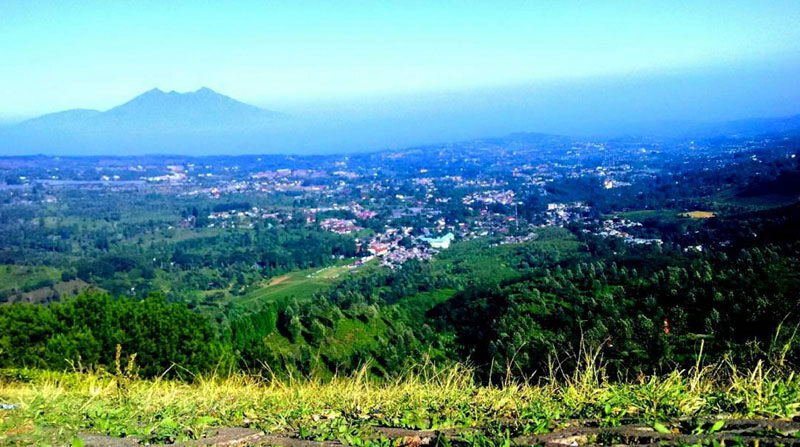 Not only famous for its diverse cuisine, Bogor is also known for its natural beauty. 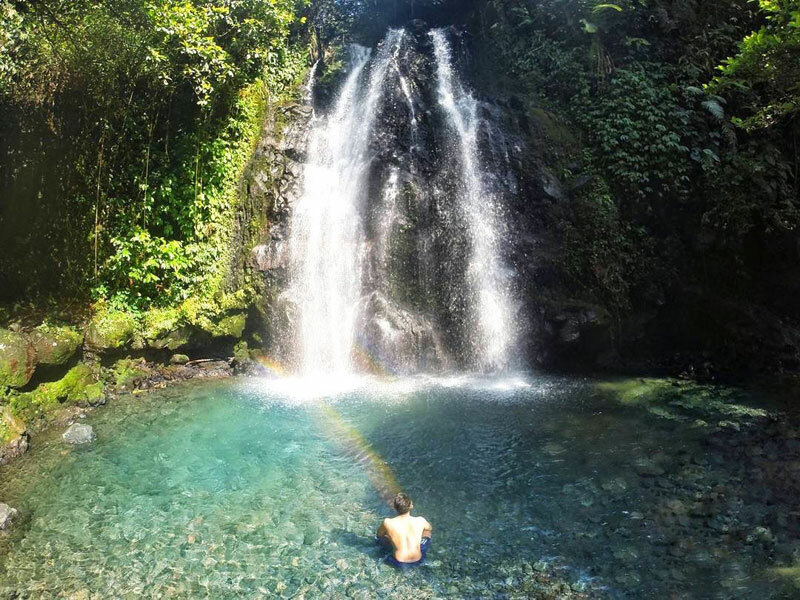 There are a lot of waterfalls in Bogor, and one of the most famous waterfalls of them all is the Nymph Waterfall, also known as Curug Bidadari Cikoneng or Cikoneng Nymph Waterfall. 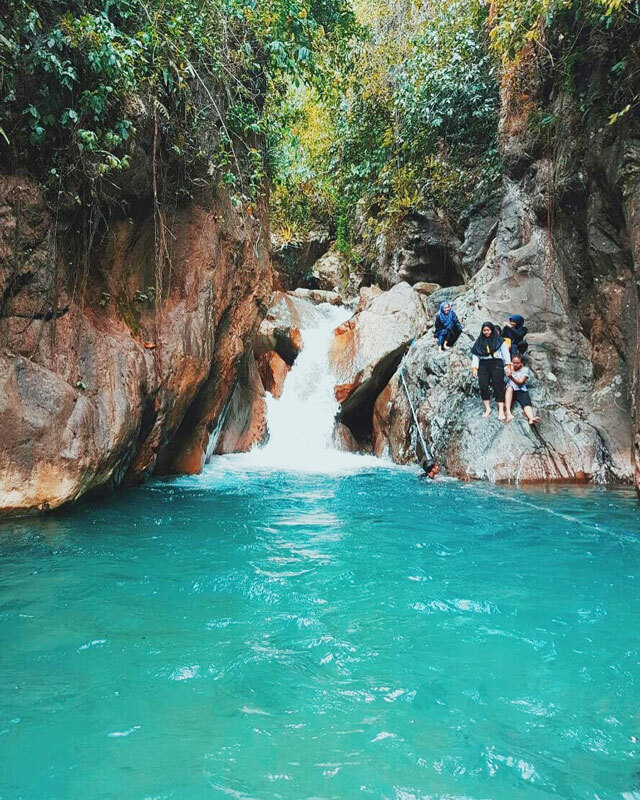 The name Cikoneng comes from Cai, which means water in Sundanese, and Koneng is derived from Bojong Koneng, which is the village where the waterfall is situated. 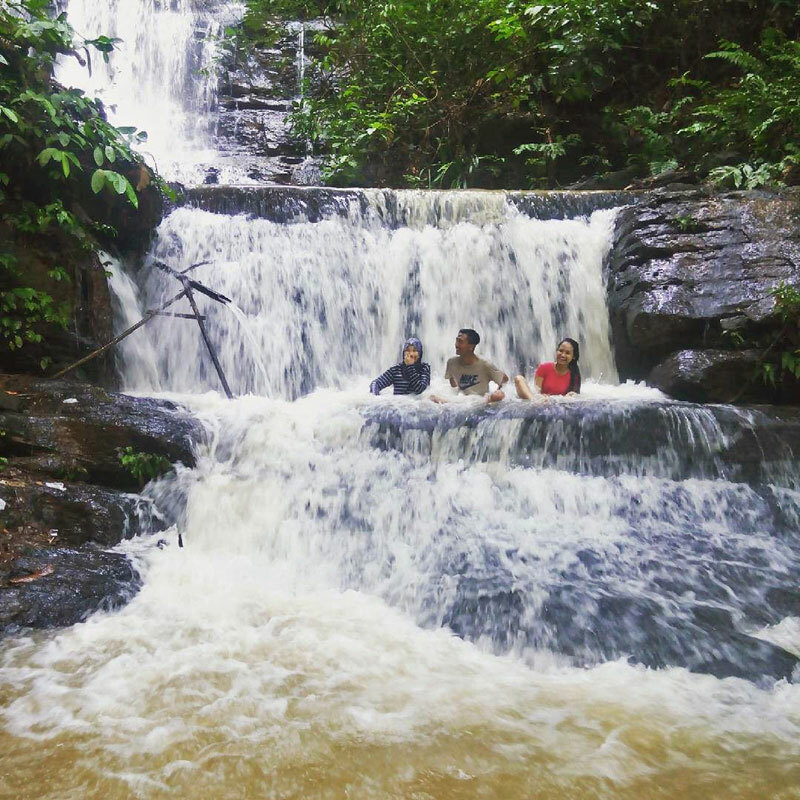 This waterfall is suitable for some relaxing family recreation time. 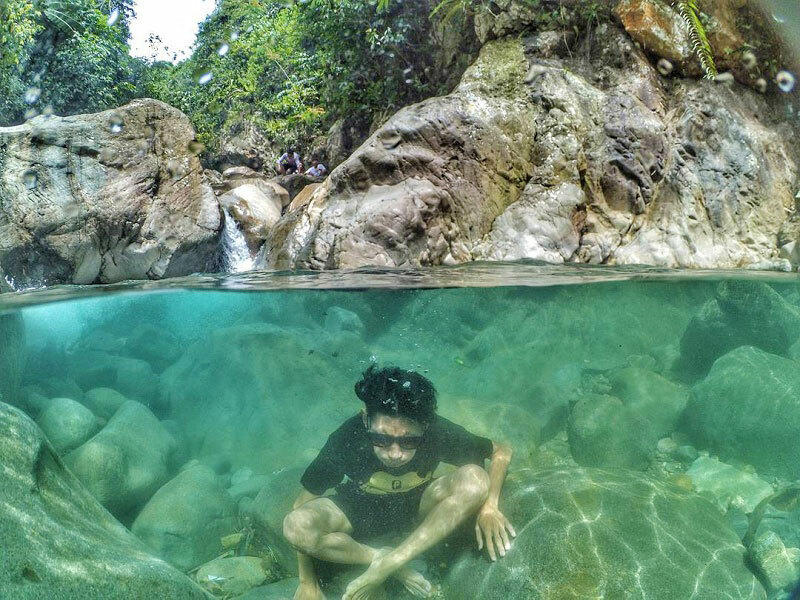 Under the waterfall, there’s a large pool of clear water that’s perfect for swimming. And if not, you can just relax on the sandy area right by the waterfall pool. Getting there: If you’re coming from Jakarta, simply drive via Jagorawi Toll Road, and then take the South Sentul / Sentul Selatan Exit. 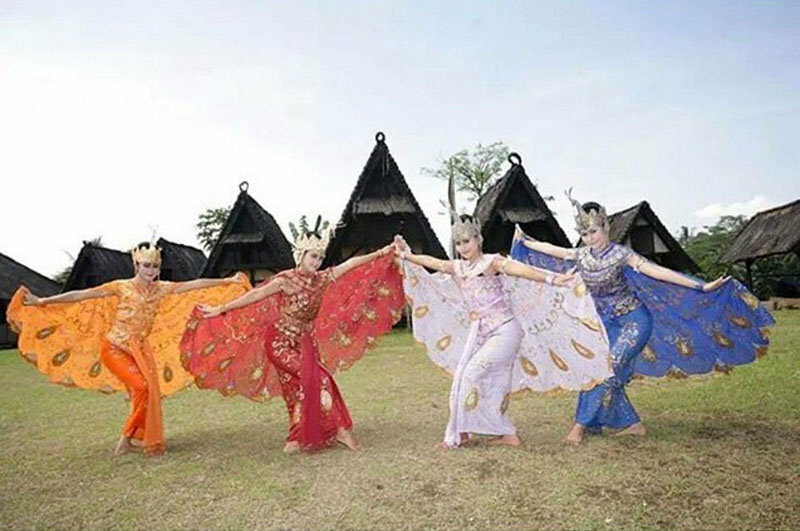 In this cultural village, there are many things to explore and experience – such as the 8 kinds of Sundanese arts that have been revitalized and preserved by its inhabitants. 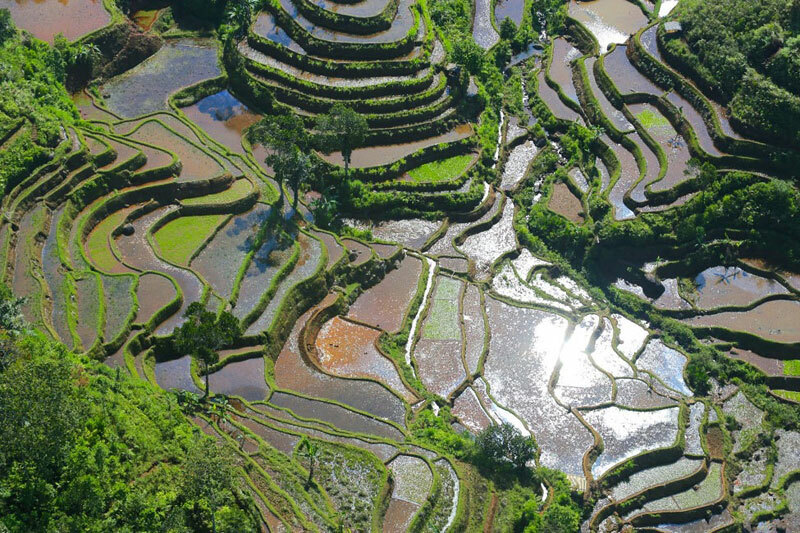 There is also the Terraced Hills, which is the archaeological site relic from Padjadjaran Empire. 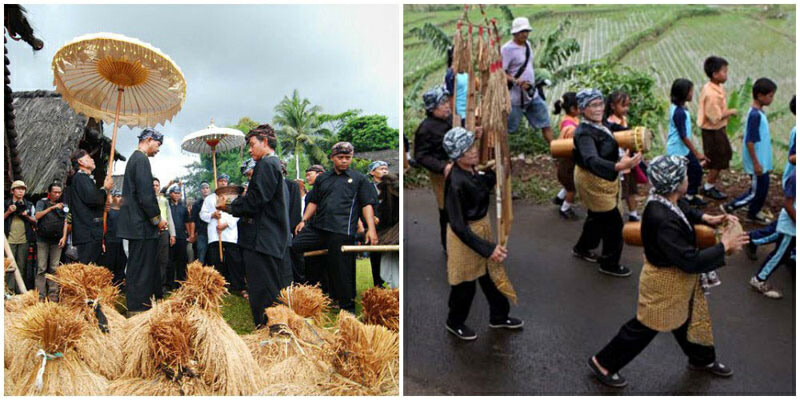 Here, the Bogor Sundanese culture survives to this day, through the Seren Taun Ceremony that is conducted annually – expressing gratitude to the Gods for the harvest and crops obtained. 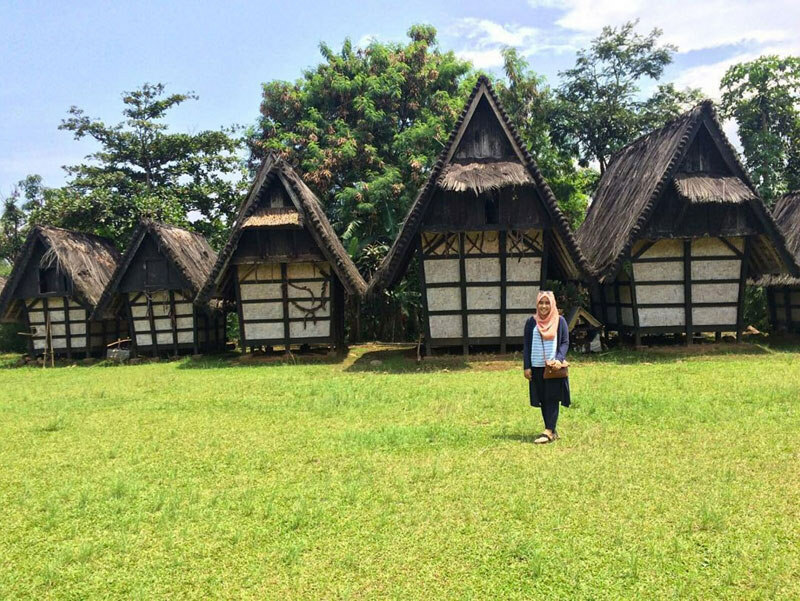 Because this is a cultural village, the guests who visit will also be able to stay at the cottages and experience the atmosphere of everyday village life. Guests will also live with kokolot, the respected elders in the community, and artists who live in this cultural village. And if you’re an artist, you might even be able to pick up some ancient art techniques from the people! 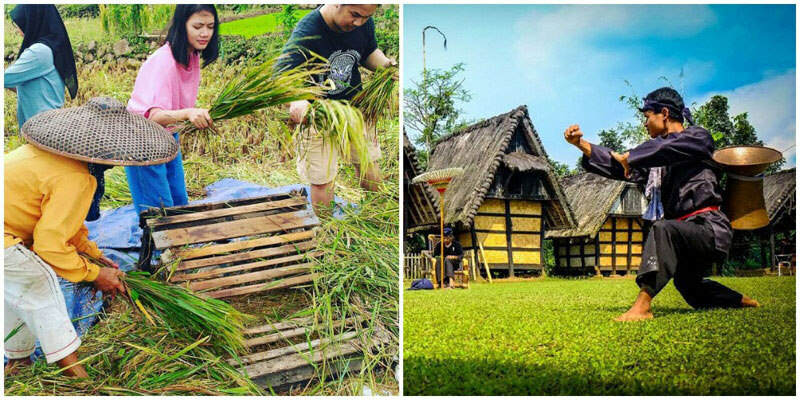 Guests who come to visit will be able to experience sights such as women pounding away at the rice in traditional huts – and cooking food through traditional means such as using the firewood and Hawu (a Sundanese traditional stove). 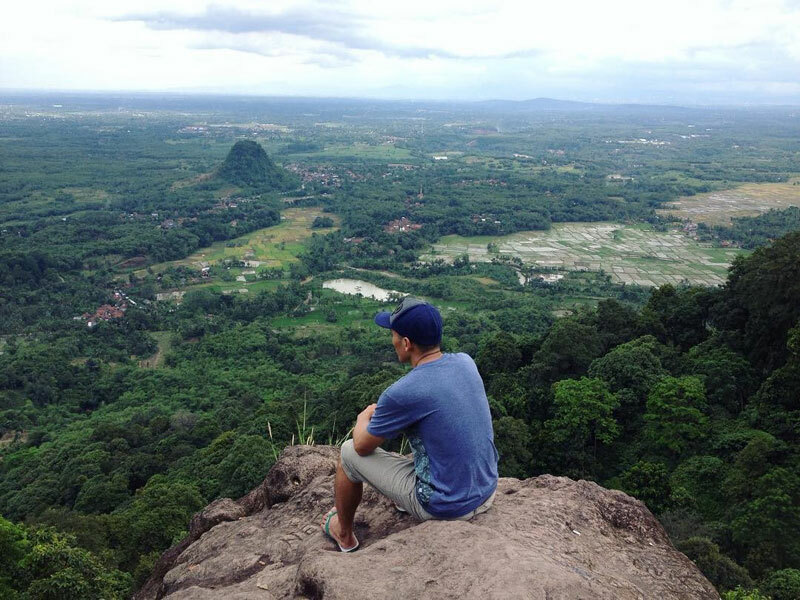 The Gunung Gede Pangrango National Park is one of the best national parks in Indonesia. With an area of over 22,000 hectares, this place is home to hundreds of wild flora and fauna species. 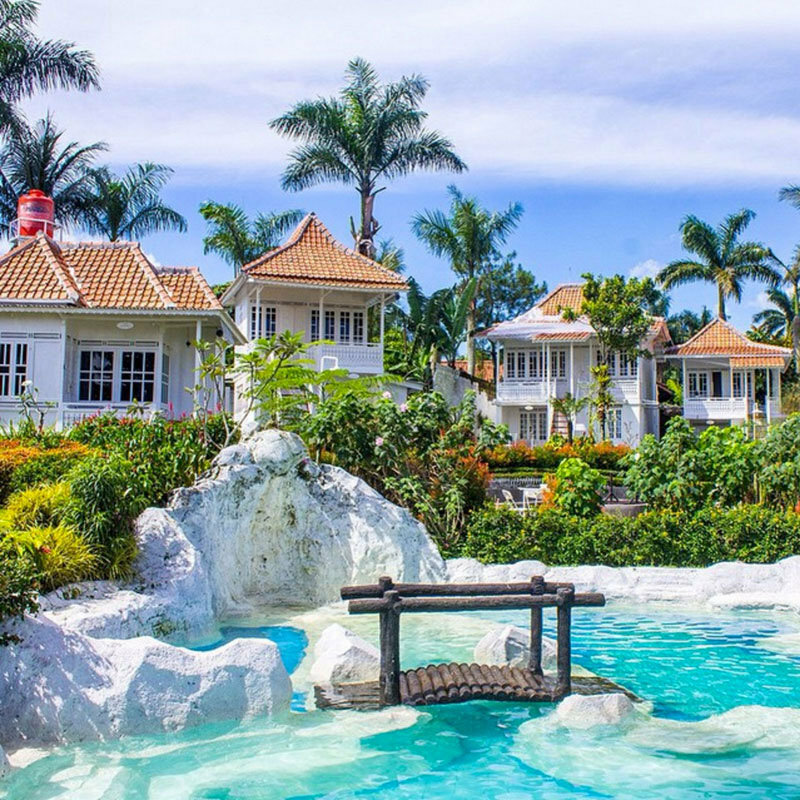 Check out these relaxing spots where you can chill with your loved ones and enjoy the scenery! 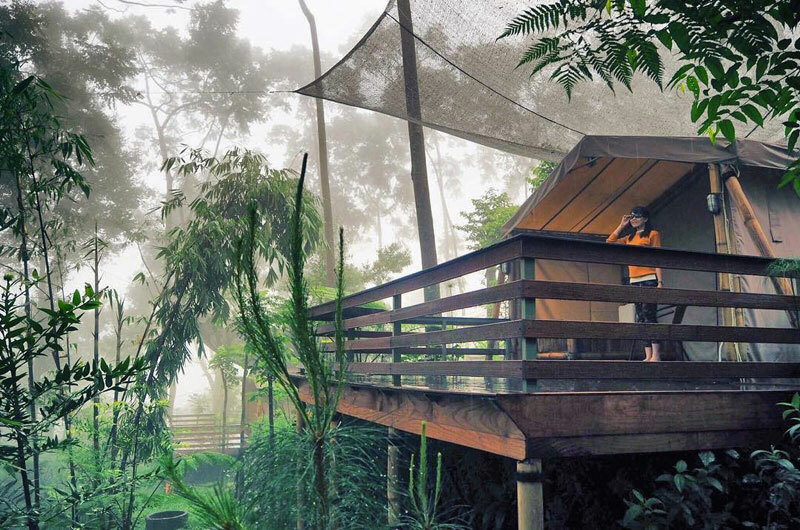 Offering an impressive perspective of this grand rainforest, the Canopy Trail is a 130-metre treetop walk, beginning in the forest and ending at the Ciwalen Waterfall. 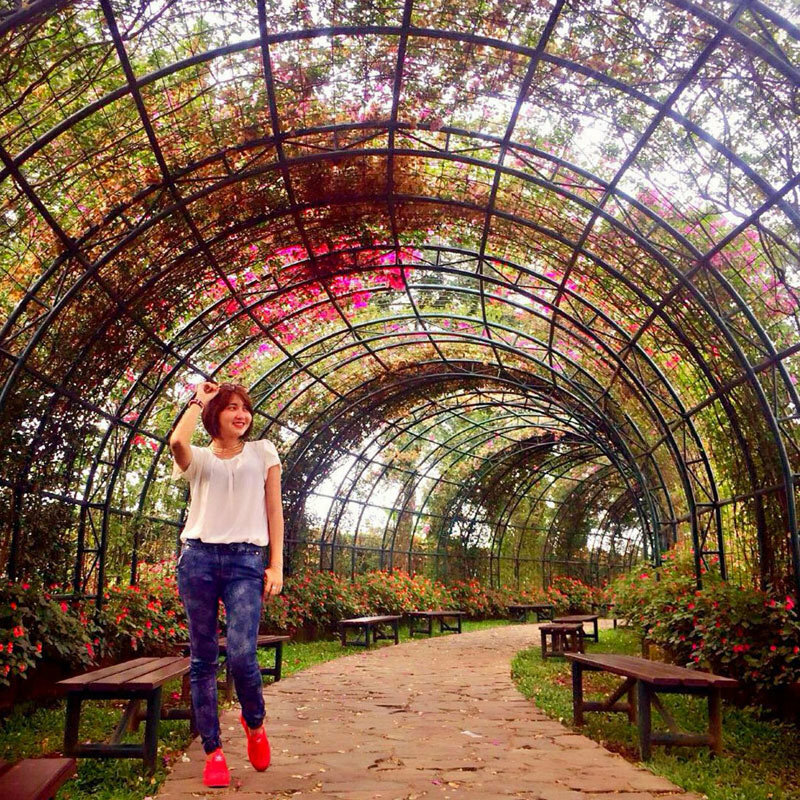 As you stroll among the heavenly green panorama, you’ll be thoroughly refreshed by the cool breeze of fresh air. Make sure you stop for selfies! 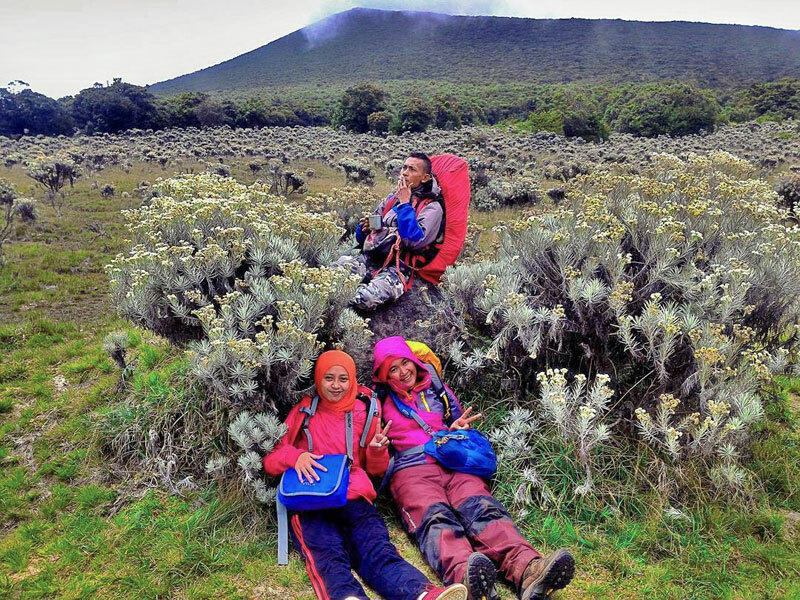 Alun-Alun Surya Kencana is a savanna of over 50 hectares, located at an impressive height of 2,750 metres above sea level. The cool temperature and location is the perfect climate for the elusive Edelweiss, the flower of eternity, to thrive. It’s quite a bit of a hike to reach here, but needless to say, it’s definitely worth it. 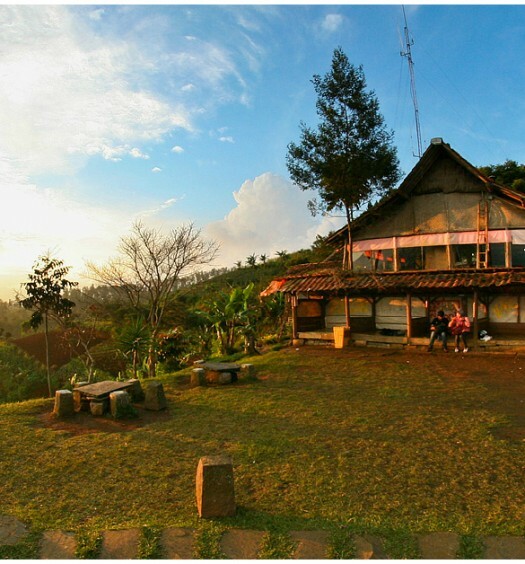 The ultimate destination for most travellers at the National Park is the top of Mount Gede Pangrango. Hike up, and you’ll be treated to a massive and most satisfying view of the entire national park. 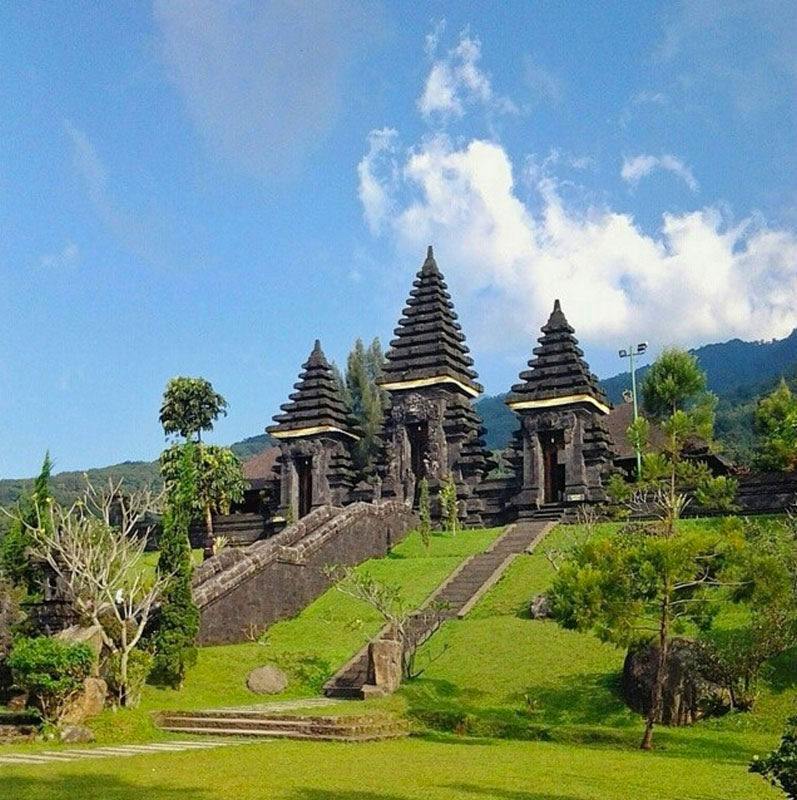 Not just another tourist attraction, Pura Parahyangan Agung Jagatkartta is a Hindu temple, where Hindus go to for prayer and worship. Before entering the main area of the temple, there are two temples – Pura Melanting and Pura Pasar Agung, that are built exclusively for worship, where offerings will be purified before being offered to the Gods in Pura Jagatkartta. Tourists are generally prohibited from entering the main temple, except for those who want to perform ritual prayers. The only area that visitors are allowed to enter is the outer court of the temple. 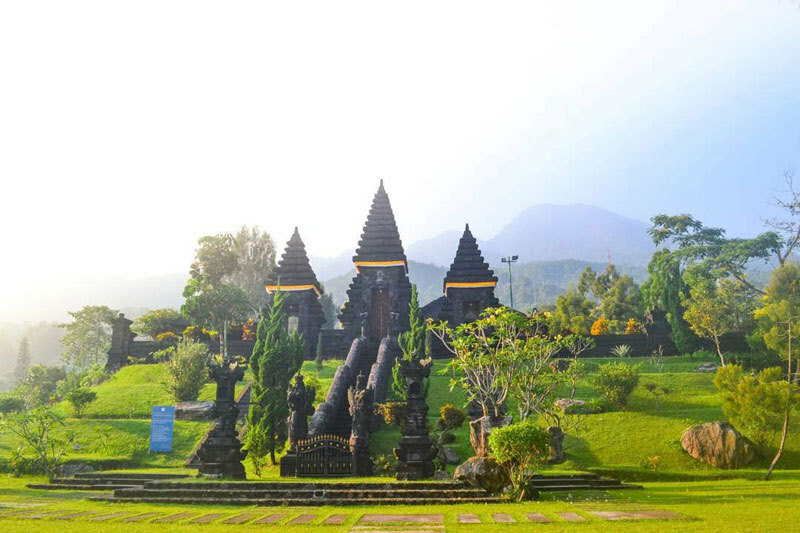 However, you can still enjoy the breathtaking scenery, with the background of Gunung Salak and beautiful gardens surrounding the temple. It is the perfect place for visitors to not only learn more about Hindu culture in Parahyangan, and also find zen and calm. Pura Jagatkartta is the largest temple in West Java, and the 2nd largest in Indonesia after Pura Besakih in Bali – it is also considered a tomb and place of worship for the ancestors of the Pakuan Padjadjaran Empire that was once in Parahyangan. Address: Kampung Warungloa RT 03/09, Desa Tamansari, Kecamatan Tamansari, Gunung Salak hillside, 13 km southern Bogor. 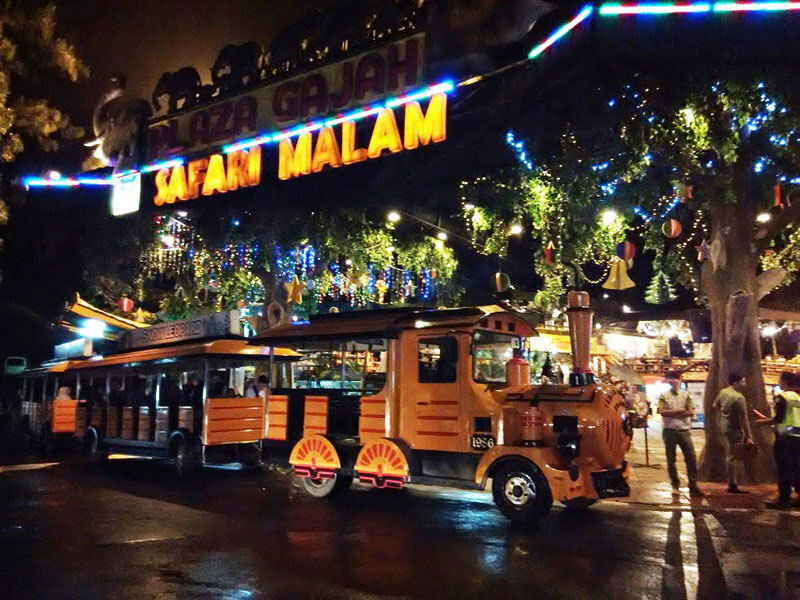 Bogor is often juxtaposed with the city of Bandung as a shopping destination. This is due to the factory outlets available in both cities (often abbreviated as FO by locals). 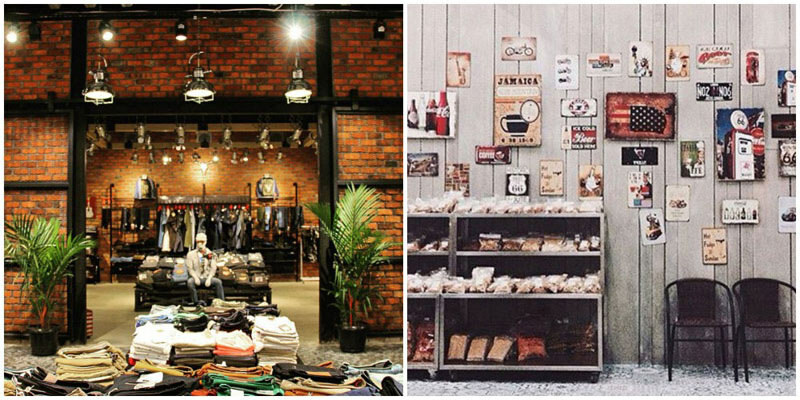 If you are specifically looking for factory outlets, all you have to do is head towards Padjadjaran Street in North Bogor – and you’ll be able to find many different factory outlets, where there are great steals waiting! Similar to other factory outlets, Raja Factory Outlet offers branded goods at bargain prices. This FO also gives huge seasonal discounts, usually during Ramadan and around Christmas. The products range from women’s fashion to kidswear. 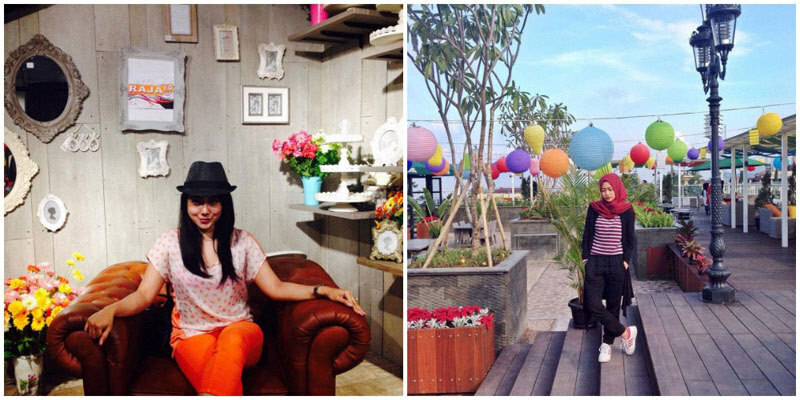 PS: Among the many FOs, Raja Factory Outlet has several cute spots for you to take pictures or selfies at. 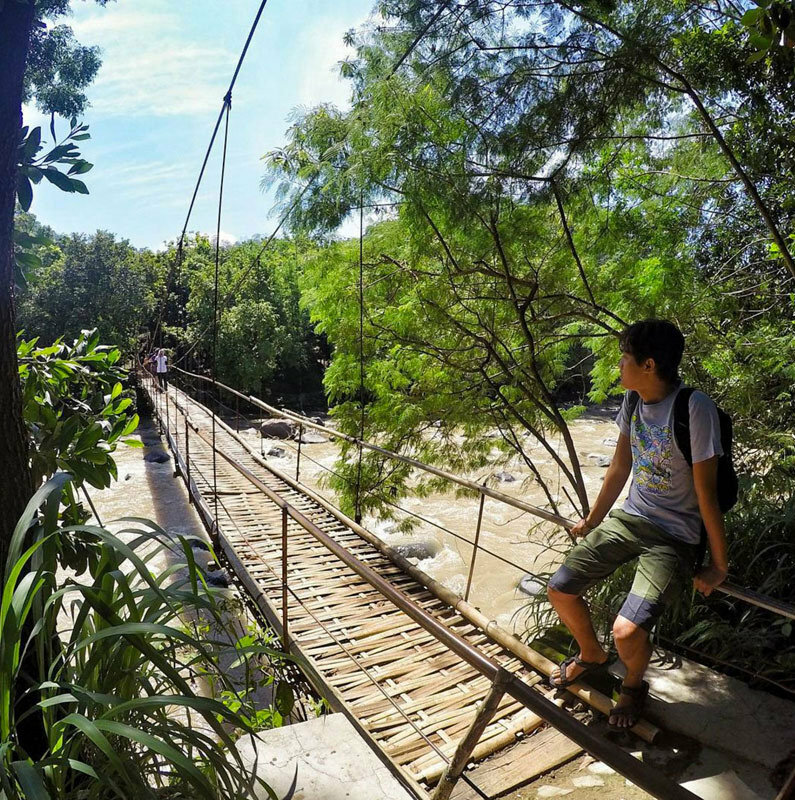 As a recreation and education park, Taman Matahari provides rafting adventures for the thrill-seekers. Compared to other places that provide similar rafting experiences in Sukabumi and Cianjur, rafting in Ciliwung River at Taman Matahari is the more convenient alternative, especially if you’re driving from Jakarta – and it’s more affordable too! There are two different types of rafting, the 600m and 3km. 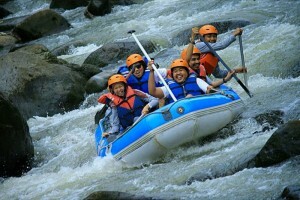 Going on a rafting adventure here is quite easy, and is thankfully suitable for beginners. The terrain is not too extreme and with the short distances, it is safe enough to bring your older children along (not for toddlers, though). 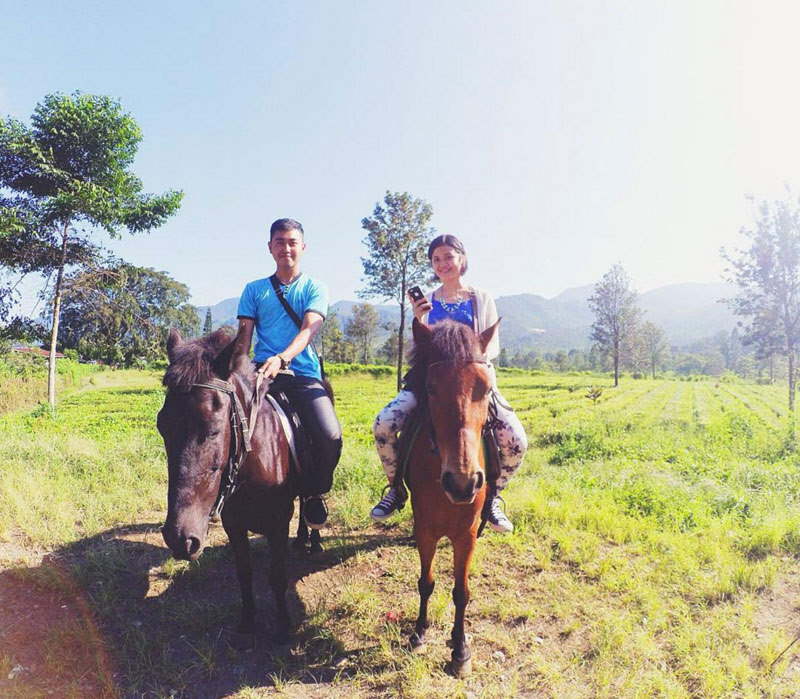 Does a spot of recreational horseback riding in the middle of lush green tea gardens sound fantastic to you? 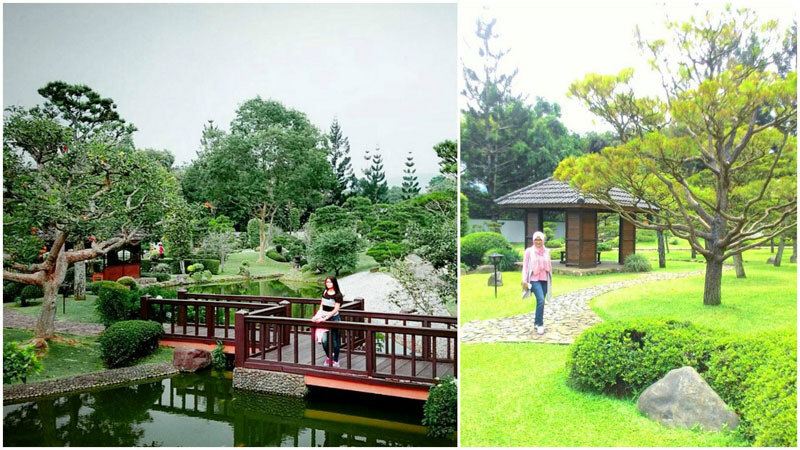 Well, Gunung Mas Tea Estate might just be the right place for you. Upon arrival, all you can see is the greenery and mountain range. 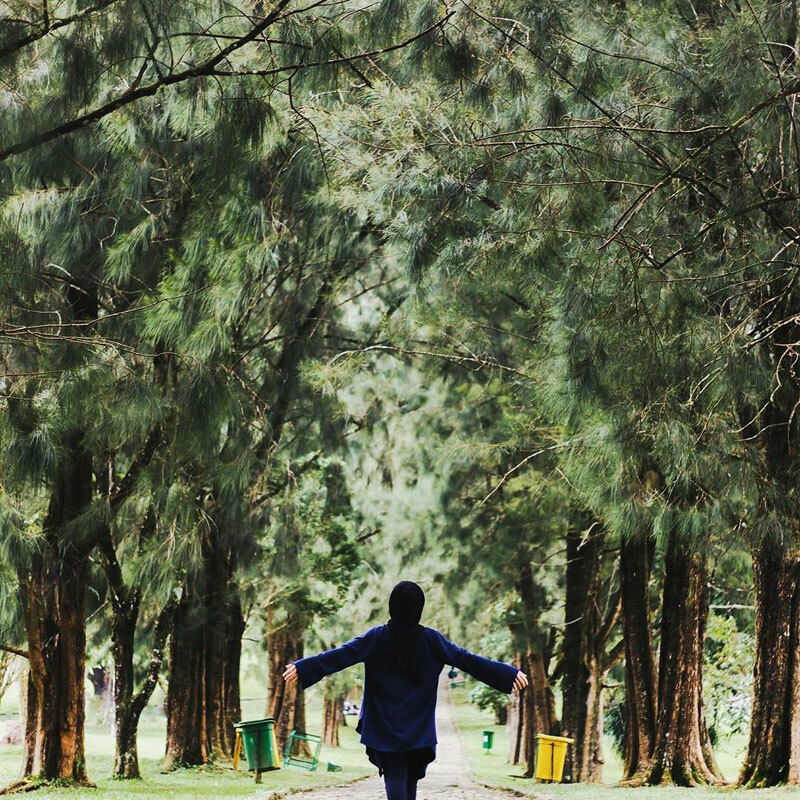 Move along to the primary attraction in Gunung Mas Tea Estate, and make your way to the horseback riding area around the tea gardens, if you’re keen. 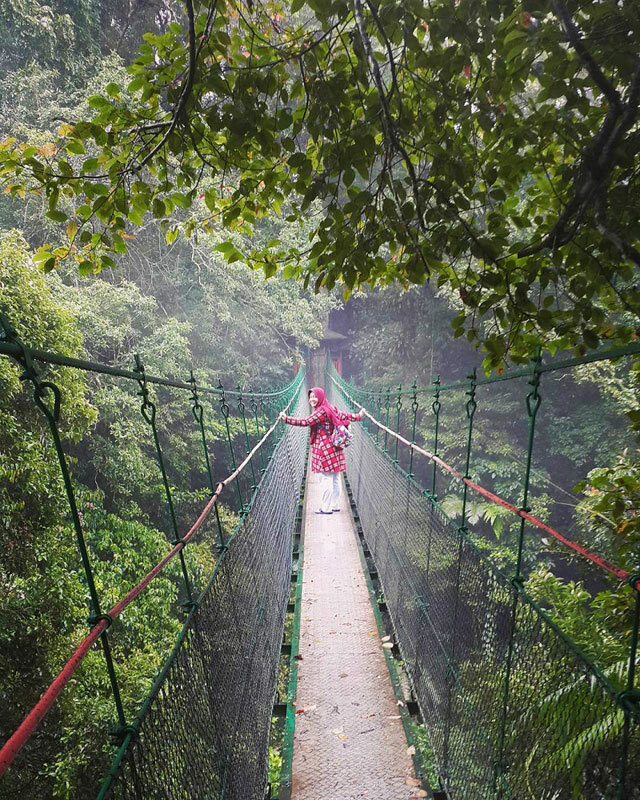 Another activity available is the tea walk where you will be accompanied by a guide. 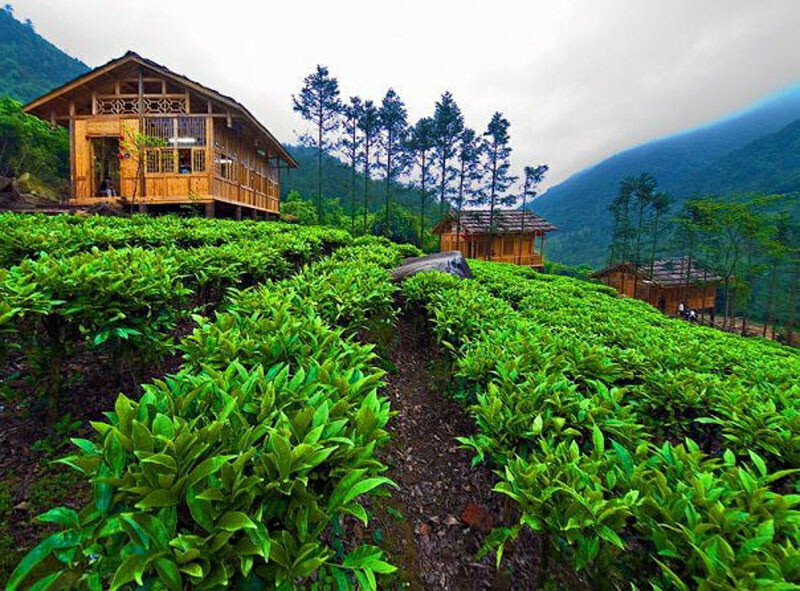 Apart from these interesting events, you may also have a guided tour around the tea factory, and even stay overnight at the lodge. 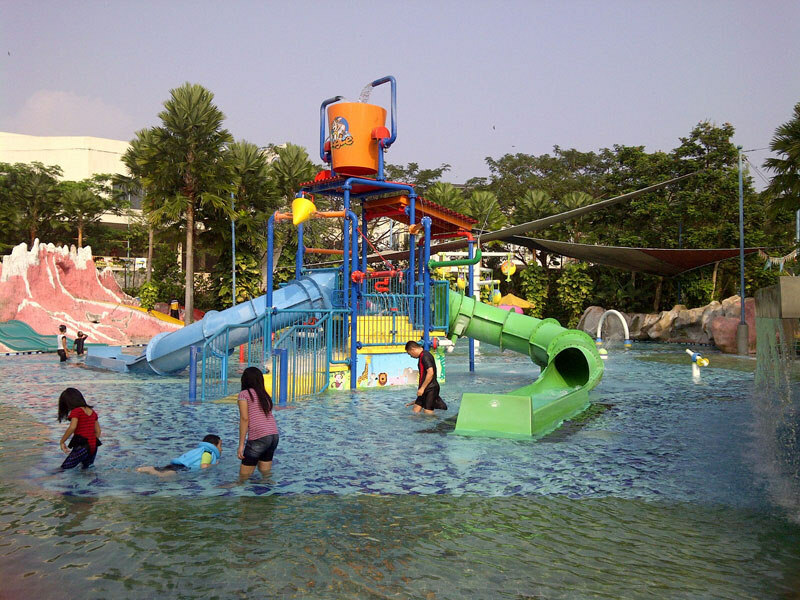 Swimming is also available in the Tirta Mas Pool should you need to cool off after! 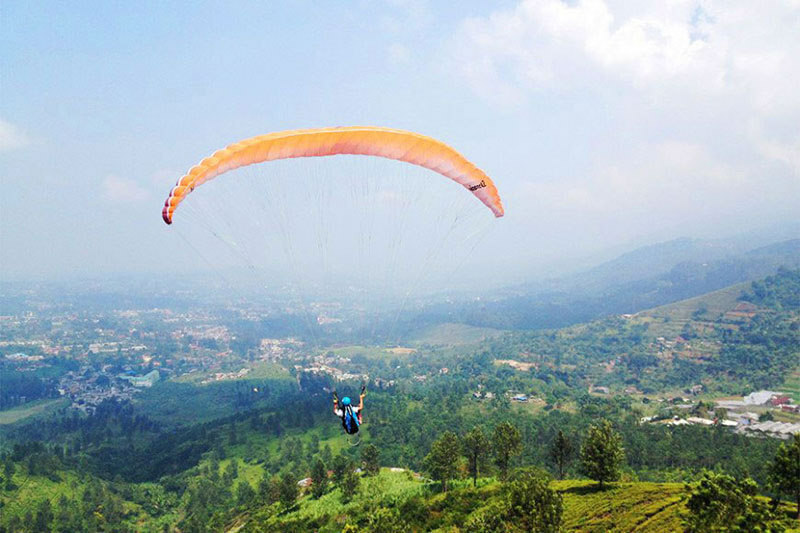 If you’re looking for a more extreme sport in Bogor, then you should definitely try Paragliding at Bukit Paralayang Bogor. The sensation of flying 1.3km above sea level will definitely become one of the most unforgettable experiences of your lifetime. There will be professional instructors who paraglide with you during the 15-minutes experience, if you’re worried about paragliding alone. One thing to remember, before doing this extreme sport, is to wear a comfortable outfit, along with appropriate footwear (skirts and sandals are a big no-no). Don’t forget to bring your camera along since the ride will be relatively smooth, and you’ll be able to take selfies or even photos of the breathtaking scenery! 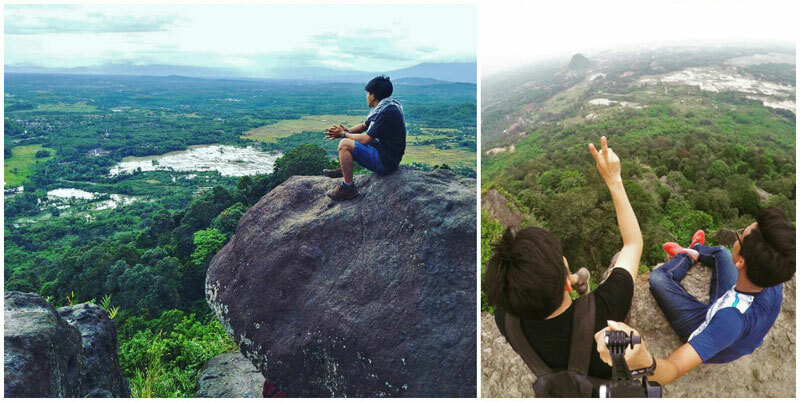 From here, you will be able to see Mount Salak from a distance too! 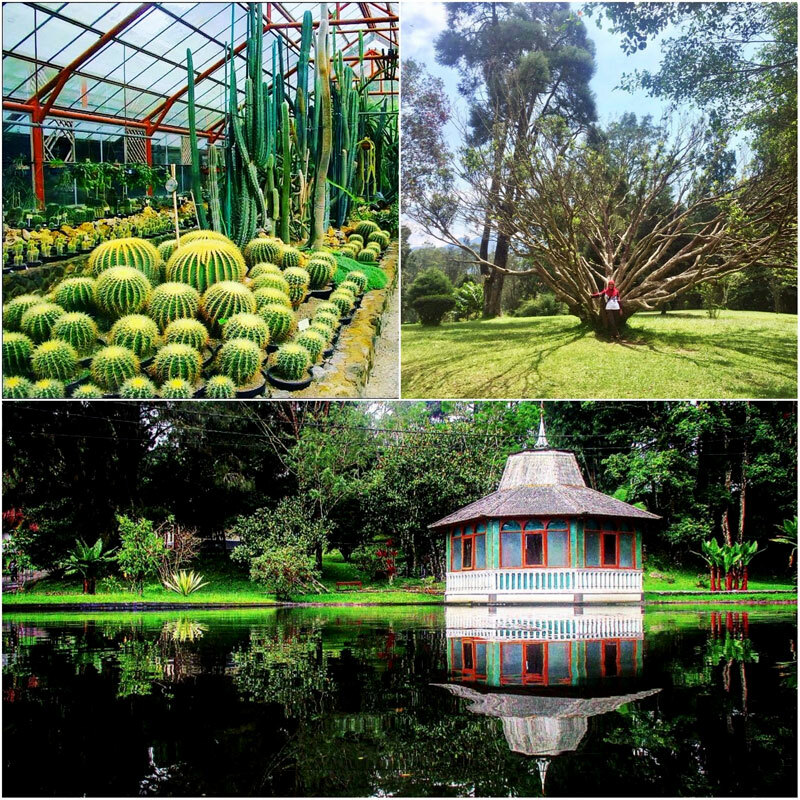 Are there any more awesome things to do in Bogor / Puncak we have missed, comment below to let us know!